– World Record of Guinness Book!!! 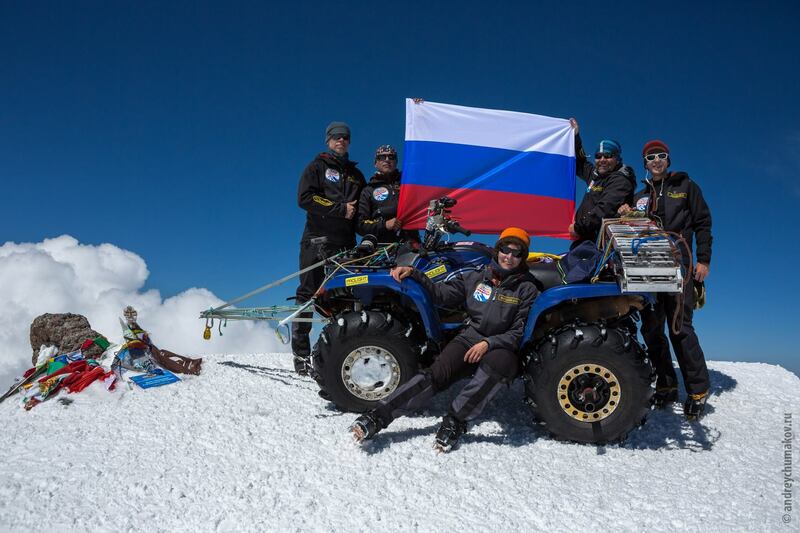 It was the first quad to summit Elbrus; the first quad to drive as high as 5,642 m / 18,510 ft! Semyon Natoreev and Vladislav Chebyshev, technical assistants. 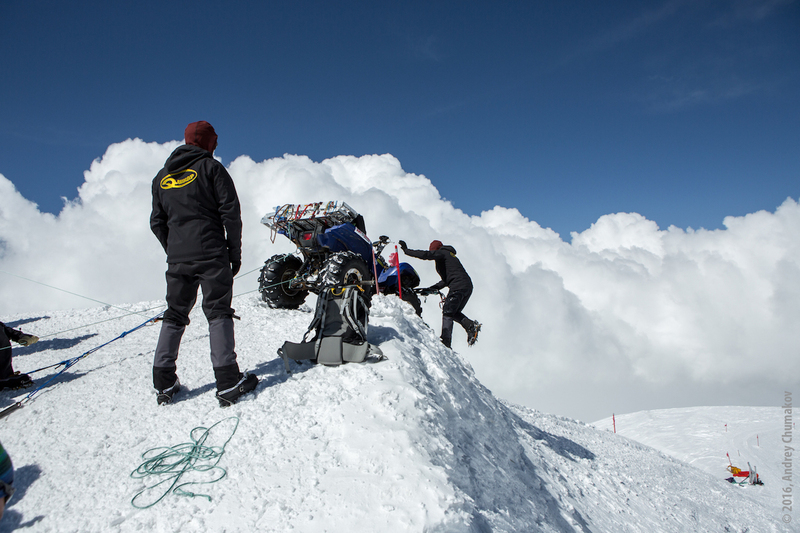 It wasn’t our first attempt of climbing by a quad to the summit of the highest peak in Europe. In 2014, supported by Chambers of commerce and industry of Moscow region and Kabardino-Balkaria, we attempted to make a quadascent of Elbrus. 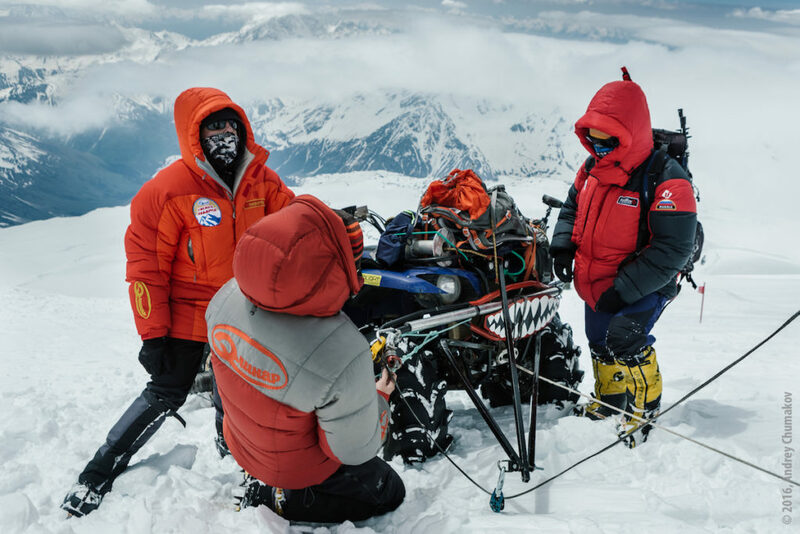 And even though we were much encouraged by state officials who organized a party with much fanfare, we failed to make it to the very summit due to circumstances beyond our control – we managed to get only as high as 5,150 m/ 16,896 ft, setting records of Russia and Europe. We learned lessons from our 2014 failure – all technical aspects and loose ends. 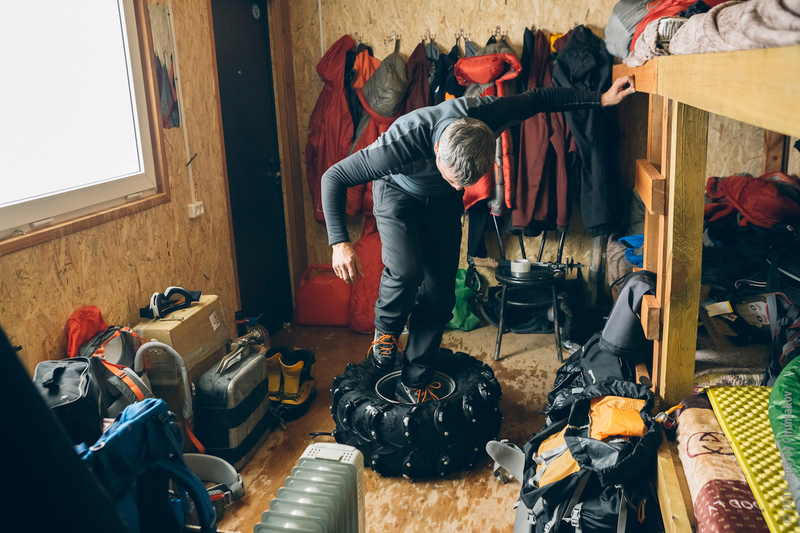 I plunged so deeply into the project that were spending days and nights in my garage inventing and designing – to the extent that my children thought that their dad had left for his expedition four months earlier. No sooner have I begun preparing for the attempt than I realized that I overestimated my capabilities. 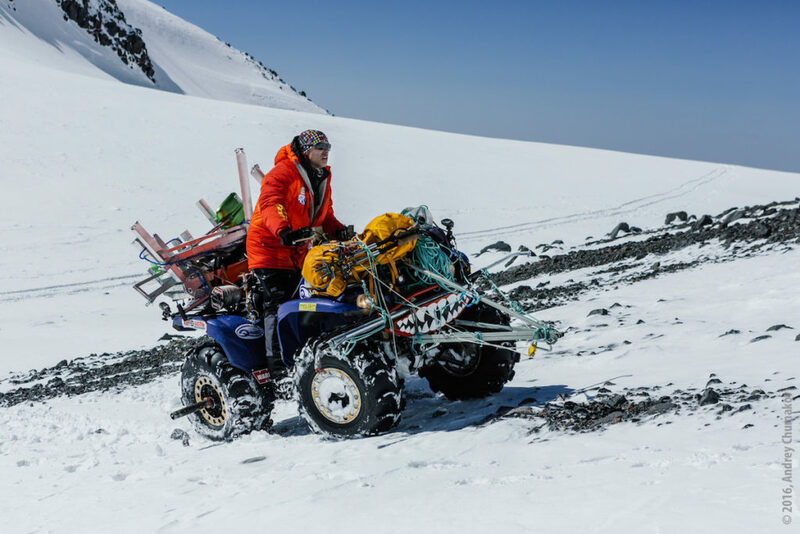 Besides gathering my own gear, I also undertook the responsibility of arranging for accommodation of our group members, for selecting and buying equipment and clothing, for preparing the quad and getting permits from state authorities for our ascent. Ilya helped me to rebuild the vehicle’s engine at Quadbase repair shop, and the running gear I brutalized myself. And brutalizing it really was since I did just the opposite of what was designed by manufacturer. The hell with shock absorbers! Clearance brought to minimum but with possibility of right and left alignment error. And I loaded rear wheels with 100-meter of 5mm pulling rope on steel drums. Plastic foot boards wouldn’t endure crampons and I removed then with steel ones. In steering section I added a second gas trigger on the left side, an additional starter button and a couple of snap switches on Prolight working lamps. 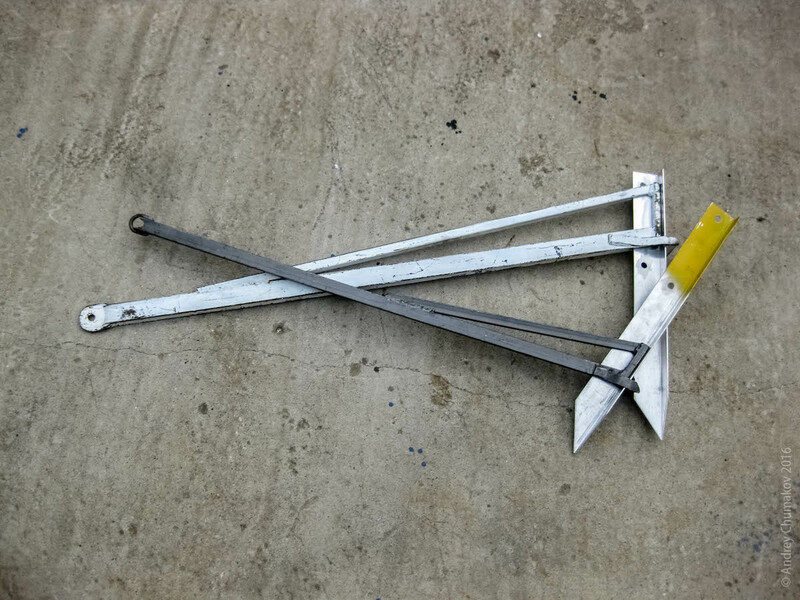 Recalling how easily the drawing machine was tearing out aluminum pales out of the snow, I realized that I should think of something more reliable. And this “something” should stay hold on both in melting snow, firn (no matter how deep) and on an icy surface. The constructions I made looked anything but elegant and we called them Monster pales. On the last day, after I realized that I can fail to meet the deadline of out start, I gathered everyone in my garage and distributed the remaining task between them. 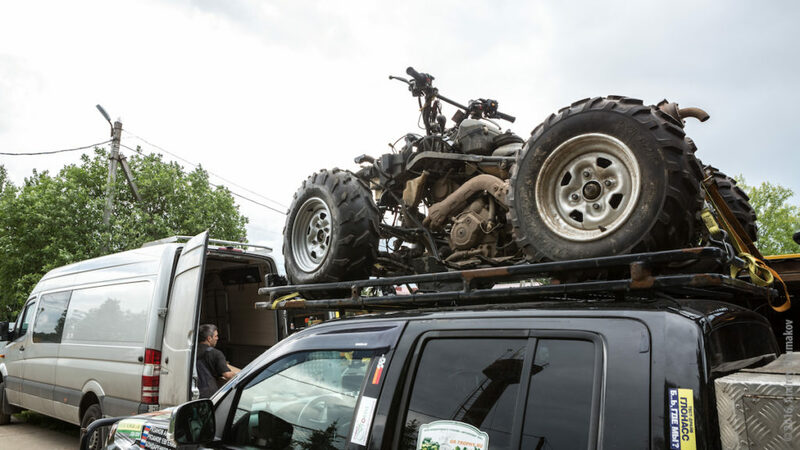 We placed out quad on the roof of a Navara truck. The members of our quadriascent team were loading cars, adjusting antiskid chains, spiking tires with roofing screws and painting newly-welded details, and I was feeling absolutely happy looking at them. This is what I call an effective management. After a 24-hour ride we got to Mt. Elbrus foothill. Next morning, our chief climber arrived, Sergey Baranov, and our amateur performance came to an end. We took a vigorous pace to hike way up to the Observatory (at an elevation of about 3,000 m / 9,843 ft). At Maid’s Braids waterfall a tourist with a ten-meter long selfie stick greeted us cheerfully, recognizing my company’s logo Elinar. Getting higher and higher every day, we were evaluating the trail we were to pass and realizing that there was more snow on Mt Elbrus than in 2014. The sections that we drove over easily two years ago, we would have to invest some very serious effort to pass this time. 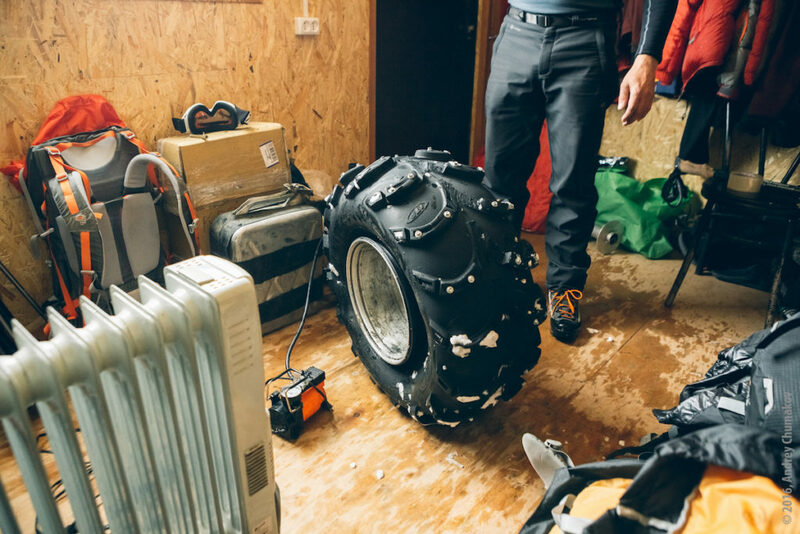 Upon getting to the elevation of 4,800 m/15,748 ft and seeing the snow there we realized that we were definitely going to be short of the Monster pales I made in my garage. We had to join them into stations with a high risk of destroying them any moment. Besides, we also realized that we left behind one of the drums. 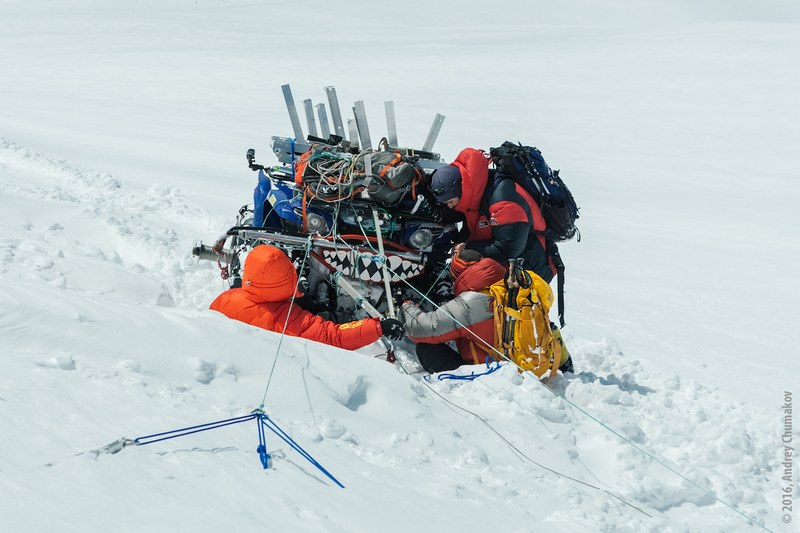 Of course we could find the guilty party right away and through him down into a crevasse but it wouldn’t help us to get the so-much-needed gear. We decided to go to Nalchik and try to manufacture some at a repair shop there. Having no technical drawings I tried to explain in lay terms to guys there what exactly I needed. First everyone thought we were nuts but suddenly I got an idea. I brought the label of our expedition and drew on it what it was that I needed. 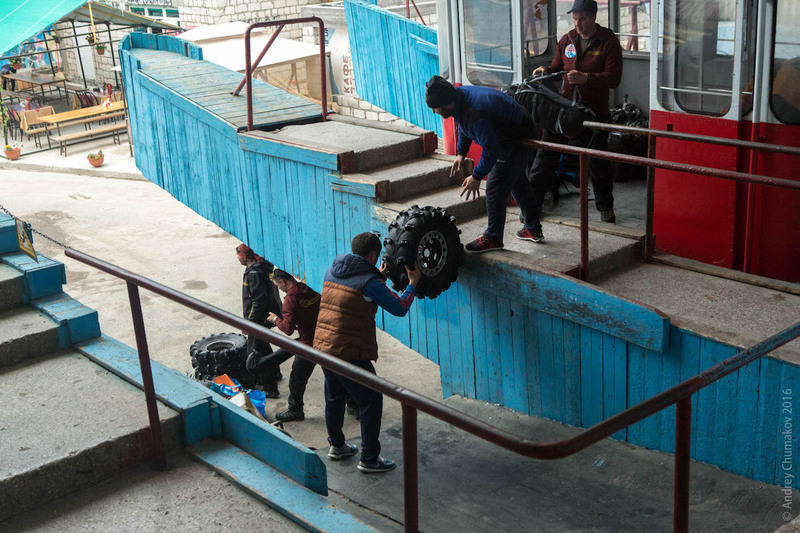 When told that I was about to set a record, the repair shop foreman, Denis, and welder, Oleg, put away whatever they were doing and helped me with great excitement – and absolutely free of charge. On that same day all spare parts, Monster pales, ropes and the rest of the gear was packed into boxes and taken on the lift to Bochki and put into one of the barrels there. My quad ascent was scheduled for the nearest night and so we were waiting for the temperature to fall in order for the soft, melted snow to freeze and become easier to pass. Day 1 of our Elbrus ascent passed in the atmosphere of complete secrecy. We started in darkness, there were no ads and labels on Smiley, and I was wearing a Federal Rescue Service parka. Following the trail familiar from 2014 I passed all rocky screes from Azau valley, and after getting to the section with frozen snow in half an hour, I made it to an elevation of 3,800 m/ 9,843 ft! We decided not to venture to get higher on that day, and we immediately hid the qaud covered by a hood behind the barrels. On Day 2 we started by 5 AM for the snow to be still solid. I was riding in the head, sticking to our conspiracy plan – with no logos and in a Federal Rescue Service parka, with quadascenders and equipment following on some distance on a Snowcat. A couple of times the quadricycle got stuck in the snow and I had to reel back and to choose another path or to gather more speed. Anyway, we made it to the top of Pastukhov’s Rocks (4,750 m / 15,584 ft) pretty quickly. After that true mountain climbing began. 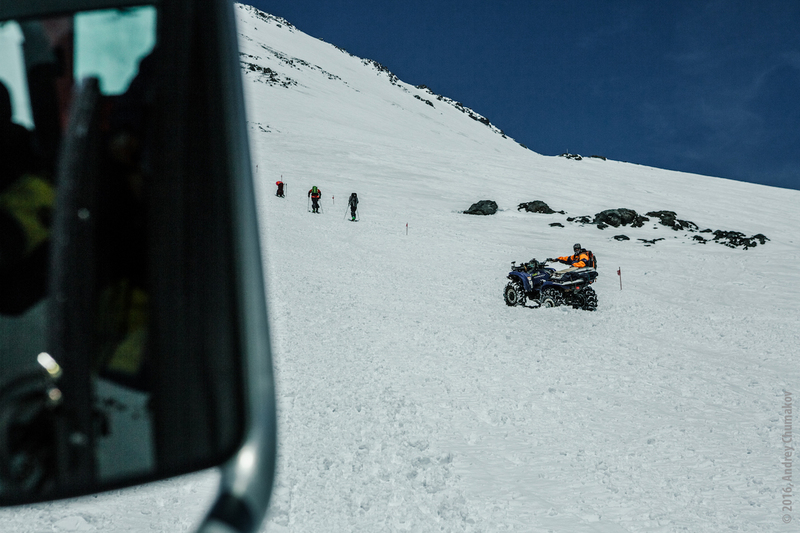 That section of the route was covered by newly fallen snow that was impossible to pass on quad – it would only bury into it and wouldn’t override it at all. We were digging and pulling for about six hours. 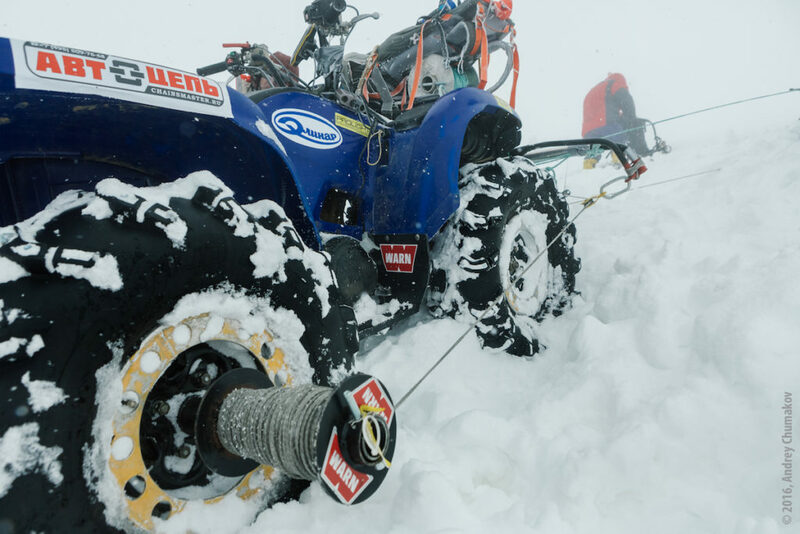 With immense efforts we managed to get the quad to the elevation of 5,050 m / 16,568 ft only to find out that tire on one of its rear wheels got loose. 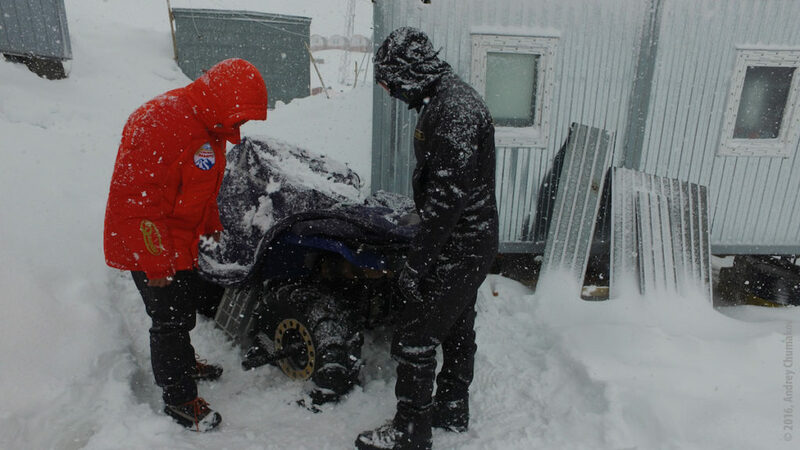 Since assembling a wheel in the conditions of cold and wind was beyond my abilities, we took the wheel off the quadricycle, took all that on Snowcat back down and to our refuge. It took us several hours of witchcraft in the evening to set the tire back. Having realized that on that altitude and in such weather nobody would bother us with their curiosity, we decided to put aside secrecy. 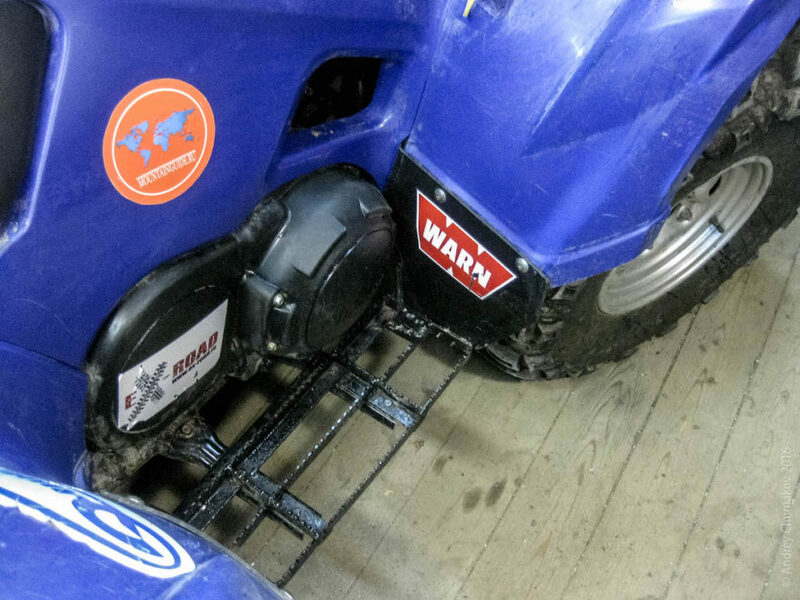 So, cheering up each other, we stuck logos on the quad and started. We were moving very slowly forward and up a steep trail. 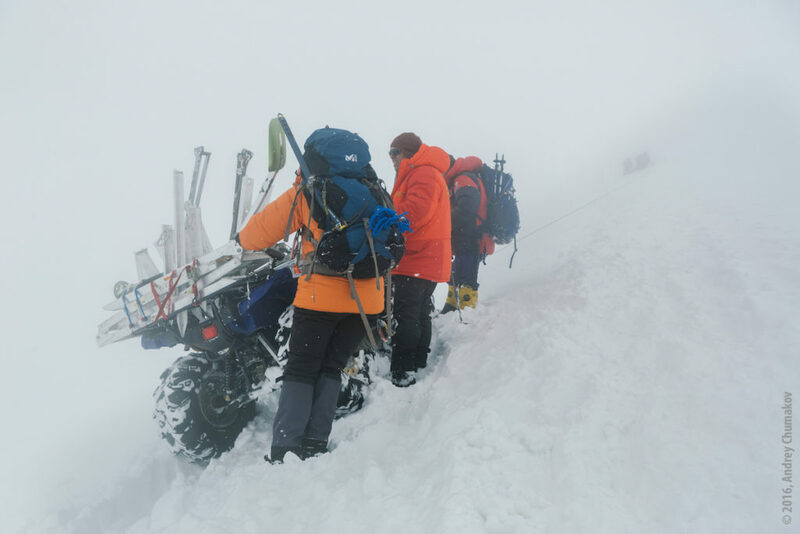 The ascent was complicated by a side tilt and the quad would constantly roll aside towards glacier with crevasses famous for numerous fatalities it caused. A couple of times the real wheels slipped off the trail and it was only due to belay that we didn’t become another victim of that glacier. Guided by the principle “fight fire with fire”, I turned on active suspension that gave a right-side tilt to the vehicle and helped me to pass the trail’s tilt. There were sections where the quad went on its own, supported just by a side-drift belay, and sometimes we had to use drawing machines or drums. Here is how we did it: ahead up the slope we would dig a lengthwise hole, put a Monster pale into it and ding in an aluminum pole through it to get a better adhesion with the snow. Sometimes we would connect a few Monster pales into a station. Once we got distracted and confused the succession of belays’ pull-up and the “beak” deformed. What we did was to adjust a drawing out fixture made of ropes and reinforced Scotch tape and went on with our mission. 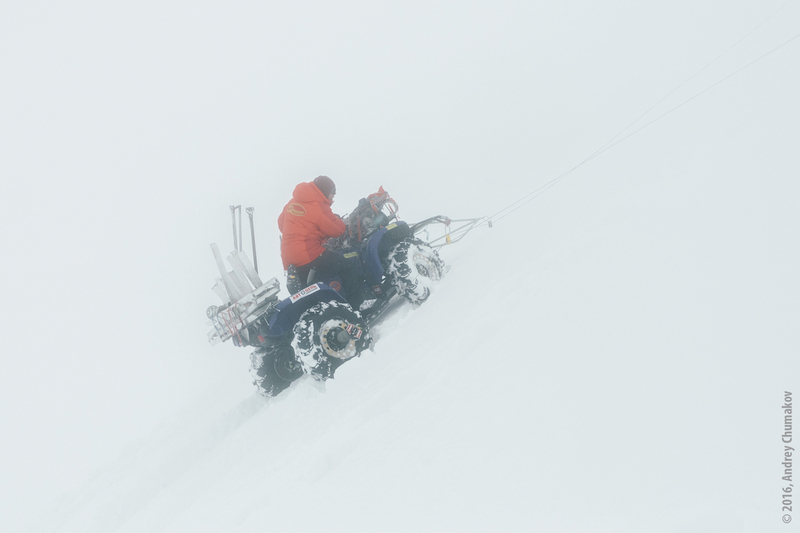 Meanwhile the weather got really bad – it grew dark, and rough snow was tearing off skin from our faces. Sometimes it felt like someone was throwing snow with a shovel right into our masks. At that moment I realized why climbers have stripes with their names adjusted to their clothes. When faces are hidden behind goggles and face masks, there is no chance of recognizing who is standing in front of you, and with such stripes things are much easier. Being leader of the group, I couldn’t be the first one to give in and was waiting patiently for our brave group member to do it and ask to head back. But no one did. Instead,the rescuers that were accompanying us said that we should hurry to turn back or we’d get caught up in a storm. And we hurried back after we’d buried the Smiley into snow and covered it with a hood. On that day we reached as high as 5,200 m/ 17,061 ft. You may think that our progress was as little as 150 m/ 492 ft, but I would rather say that it was as much as 150 m/ 492 ft uphill, towards the summit. In mountains distance is valued and appreciated in a unique way. 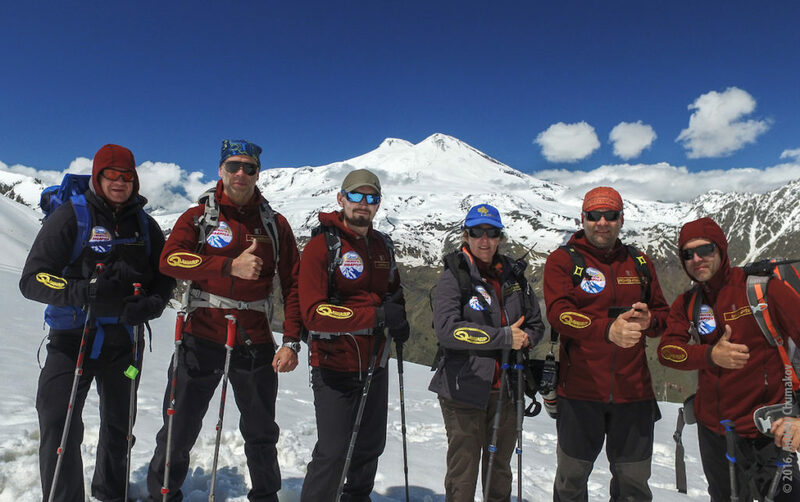 On Day 4 of our Elbrus ascent we realized that managed to reach a higher altitude than in 2014, which meant that every additional meter of our climb was already a new record. But our goal wasn’t that of beating our previous record. Our goal was the summit, all the 5,642 m/ 18,510 ft of the mountain. 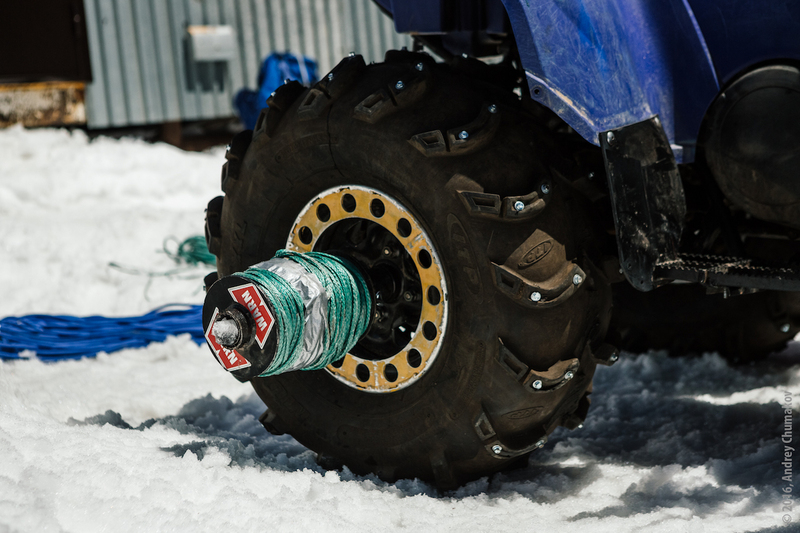 My crampons would get stuck in the quad’s footboard every now and then, which was pretty annoying. Sergey recommended me to take them off but I was afraid that without them I was sure to fall into a crevasse. But then he explained that if I make an attempt to lock with my feet in crampons, I will get thrown ahead and against ice with my head so badly that I would be flying to crevasse in unconscious condition and would feel neither pain nor horror. At the end of the slanting traverse at 5,050 m/16,568 ft, there was a rock blocking our way. For those on foot there was a narrow path to bypass it. But for our vehicle we needed two such paths and we decided to circuit the rock from above and that was really dreadful. As it turned out, besides the fateful crevasses there was another great danger, too: when digging the slope to fix our pales, we were risking causing an avalanche. Sergey showed us cleavage of the snow by digging a pit. The slope grew much steeper and without crampons I was slipping on the ice (or whatever it was under the snow) every now and then. The pulling rope was so tense it was ringing like a string, and poles could tear free from the snow every moment… I had never walked and driven that slowly. Everyone was praying, even the Smiley. Good reach of sound from our prayers in combination with great professionalism of the guides from Mountain Guide company helped us pass the rock safely. 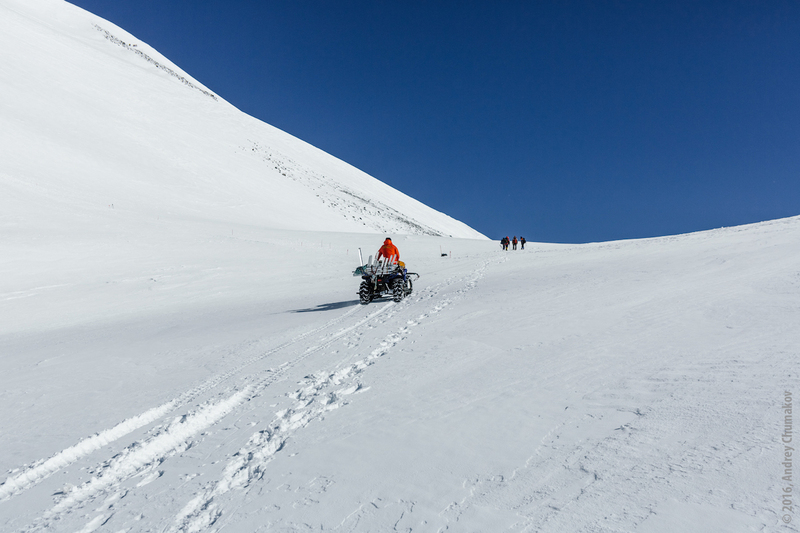 The traverse was over and we stepped onto the Saddle at 5,350 m/ 17,552 ft. We covered the quad with a hood, buried it into the snow and headed back to the refuge. By the way, on that very day rescuers were taking down a climber who apparently overestimated his energy. And if you think that a person with cerebral edema shouldn’t look like being alive, you are so wrong. When passing by us, he was jovial, was gesturing a lot and even making very loud but incomprehensible sounds (incomprehensible because they were in Korean). Day 5 of our Elbrus ascent was truly a heroic one. We woke up at 3 AM and started at 4 AM. At a vigorous pace (that was evoking envy and hate among slowly walking tourists) we passed our trail and dug out the quad. On that day we practiced all our skills of dealing with snow, slope and climbing. We were working so perfectly as a team that our camera men were hardly keeping pace with the quad though it was constantly belayed and was rarely moving on its own. We were loping like deer and probably it was for this excitement that we weren’t afraid of the ever-present huge risk of falling into some of the many crevasses that were invisible under snow, especially given the fact that our trail wasn’t a classical one (just as you would expect of regular heroes). The title of “the best deer” was earned by our camera man, Andrey Chumakov. He was running around the quad, climbing onto most dangerous rocks – all in chase of interesting views. As you can see, pictures are great but most of the time he was taking so much risk that our guides wanted to kill him. When on Saddle, I was riding for a while until I ran into an almost vertical wall of blue ice before the summit. When looking at that wall of ice with deep crevasses covered by thin layer of snow, we felt how near the summit was. We started the long climb of our spider-like quad, with poles, ice axes, crampons and ropes being its clutches. For a moment something went wrong and one of the pales tore off and nearly hit me in the head. Fortunately it didn’t, but the vehicle was about to roll down the slope if it weren’t for the belay. A few more ropes and we reached the table land in front of the summit. The final straight to the summit was covered with rose petals. On both sides of the trail crowds of excited fans were greeting me and throwing flowers and love letters… or was it a hallucination, an effect of AMS? Approaching the final slope leading to the summit I realized that we needed to shape its surface. For the next half an hour with ice axes, crampons and hands, we dug a 20-meter trench wide enough just for our vehicle to pass. Other climbers that were making enormous efforts to make it to the summit (often crawling to it) were looking at us as at some giants. One of them with great effort articulated, “You are sure to be on drug with that much energy”. But our answer left him perplexed, “We are shooting a film. We need to hurry not to miss the sun”. And that was the truth – every one of us was eager to make a selfie on the summit. Then we adjusted the belay and finally – THE SUMMIT!!!! 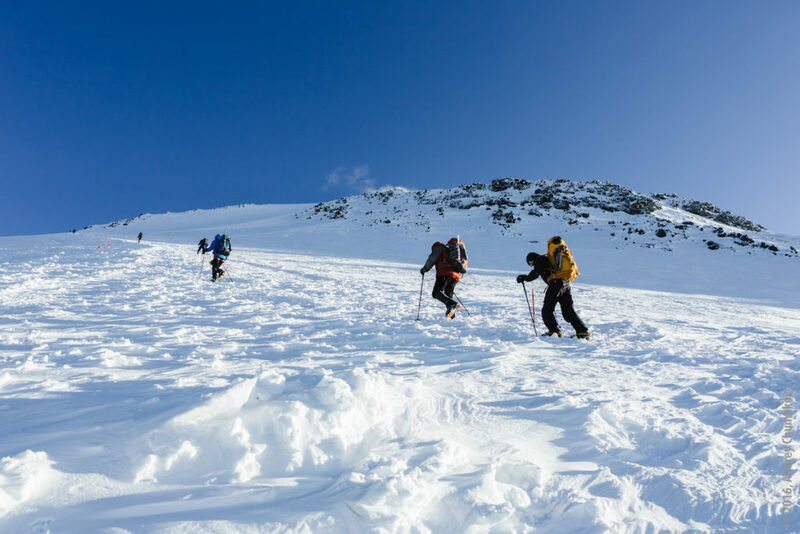 Climbers know the rule: successful summiting is celebrated only when you get back to the base camp, and never on the summit. That was the reason why we didn’t congratulate each other and pronounced no pompous speeches. Everyone knew that descent could be no less dangerous. Day 6 was a real rest day – we woke up at 7 AM! (We slept till 7 AM!!). After leisurely breakfast, in three or four hours we took the quad down to Bochki camp. Generally speaking, I could have descended all the way down to Azau, but something held me back. Probably it was my desire to celebrate. Day 7 we spent packing and taking down from the mountain all the variety of equipment that we didn’t have a chance to use. Using my status I took as much luggage with me as a shovel, while other climbers persistently carried all packs and boxes down. And since the name of our expedition – Elbrus Freshness – was meant to invite attention to the problem of pollution in Elbrus foothill regions, besides our own, we gathered and carried down four additional bags of garbage. And when we descended to Azau, people were greeting us: they believed that Elinar Film Company was shooting a movie about Federal Rescue Service rescuing a team with a quad. 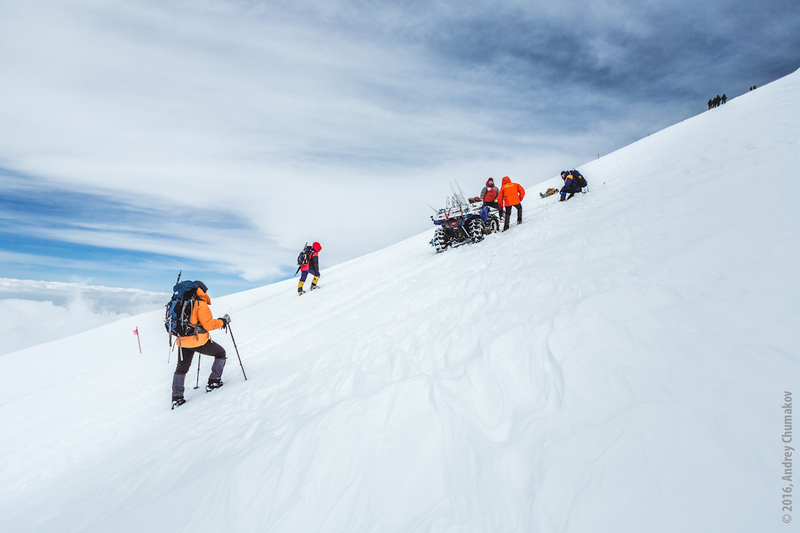 Somehow there gathered a whole of group of us, eager to summit the famous giant – Elbrus. For about two months I was living with anticipation and all my thoughts being about climbing Elbrus in winter. Finally the day came when we were to set out. Of course, it wasn’t my first winter Elbrus climbing expedition, but I’d like to assure that I’m not going to carry out my future trips with an old itinerary. And here is why. As usual, we set out in the evening and were riding a whole night through. In the morning we were among the first ones in the wagon in Azau valley – so eager we were to get with all our things to the Barrels (“Bochki”) huts. It is on considerable altitude of­ 3,900 meters. I should say, that time I wasn’t fighting against sleep at all. There was just no need for doing it, since we couldn’t even think about sleeping. By 7 AM we arrived at a valley with poetic name Azau. So far everything was going on as planned. Our bus left and we gathered our packs by the lift station and began waiting for it to open. Later in the morning we were joined by a lot of skiers also waiting for the lift station to open. But the ticket window wouldn’t open. And later we learned that the station wouldn’t open – there were some technical works going on there. We had no other choice but to think about spending the night at the overcrowded resort. We were lucky enough to arrange for accommodation at a local hotel. After checking in we decided to walk around the neighborhood and headed towards Old Krugozor station located at the altitude of 3,000 meters. By that time we already began thinking about how we were going to get to Barrels the next day. Although everybody was saying that there was no way the station would work, we were lucky again: the chair lift worked and took us to Mir station at the altitude of 3,500 meters. There we loaded our packs on a snowcat, sent it to Barrels, and headed towards there by foot. 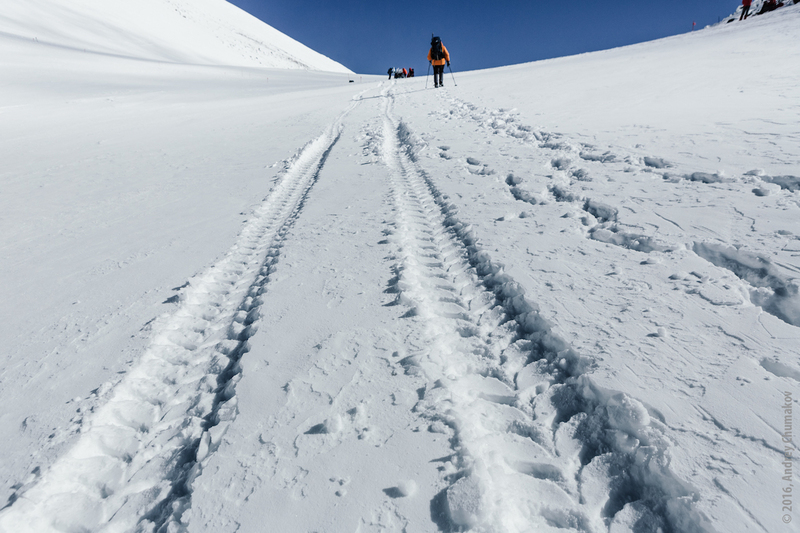 We got to our destination in no time and there was only one thought in our head – Elbrus climb. Further events were proceeding by the so-called traditional scenario – some of us got sick, some of us were as fresh and cheerful as in normal conditions, and a few others were suffering from some kind of infection. Magnificence of surrounding mountains was also perceived in different ways: some climbers were admiring them while others were playing smart, lecturing us on what one should do in order for Elbrus ascent to be successful. Overall, things in our group were going on just like in any other. The next destination in our Elbrus climbing tour was Priyut-11. We weren’t lucky with the weather but somehow we managed to pass the part of our route that was stretching to the end of Pastukhov rocks above Priyut-11. But we weren’t lucky with the weather. 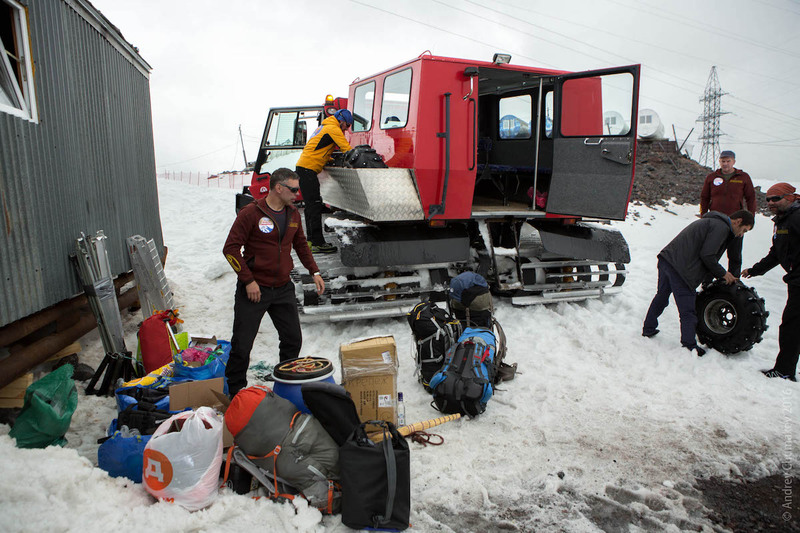 However, as we learned later, it wasn’t really terrible compared to the severe cold – actually, unusual for winter Elbrus – that was there before our arrival. We could hope that the bad weather would be over soon, and we would be able to carry out successfully our Elbrus winter ascent. I risk to sound sentimental but I should confess my love towards that mountain. No matter how many times I’ve climbed it, I always long to repeat the experience once again. Particularly I’m impressed by winter Elbrus with lots of snow and absolutely incredible ice fields around. All that makes me feel dizzy and stays in my heart forever. I really love all that. I love walking in the snow with my headphones on – just walking without stopping, like a robotic machine. This physical activity seems to become a background for my thoughts as well as for some incredible perceptions. Even when walking surrounded by friends, you are, in fact, alone – alone with that giant called Elbrus. After our hike to Pastukhov rocks we slowly descended to its lower edge. It was a sort of semi-rest day for us. Later we decided to take a real rest day and went to the local museum at Mir station only to discover that it was closed. After hanging around there for a while we turned back. The summit day – the culmination of our trip to Elbrus – was approaching. The interesting fact is that a good half of our group were climbing Elbrus for the first time, while for several of them it was also the first climbing expedition. I even envied them a bit for that chance of experiencing everything for the first time, when all little things seem exciting and incredible, and first impressions bring torrents of emotions. With Elbrus everyone is due to have a first-time experience of their own, but by all means it would be real and should be quite agreeable. People in our group were in serious mood in the evening before summiting day. Only in the morning, right before our setting out, somebody tried to tell a joke to reduce a bit the tension in the air. But somehow jokes were not welcome at that moment – everybody were very, very serious and concentrated, like before taking an important exam. And in a certain way it was an exam all right. I remember that on that day our guides wouldn’t let anyone go before them, all the way until we reached Pastukhov rocks. He set a steady pace and we all followed it. However, later every one of us retrieved a personally more convenient pace. 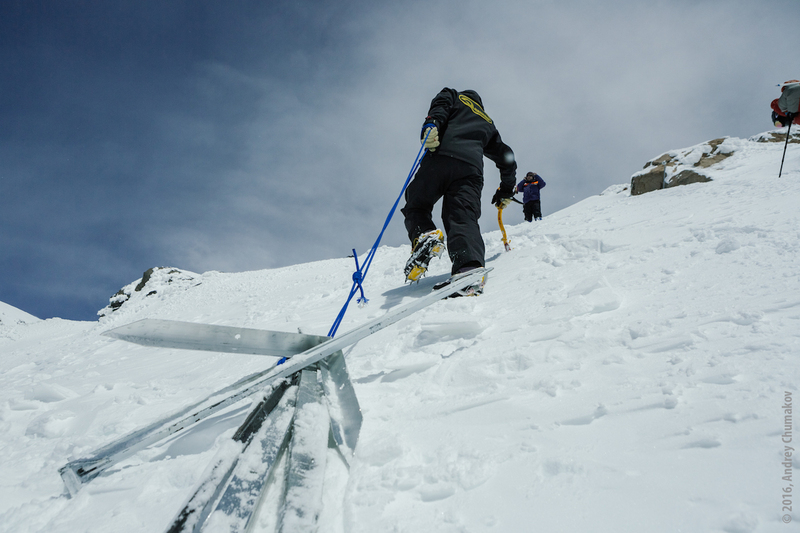 The guardrail of the summit – finally! Somebody was sick, somebody decided to turn back, but the greater part of us accomplished the climb. On the summit day we set out by 4 AM. We were afraid that before the sunrise we would get so cold that would have to head back. 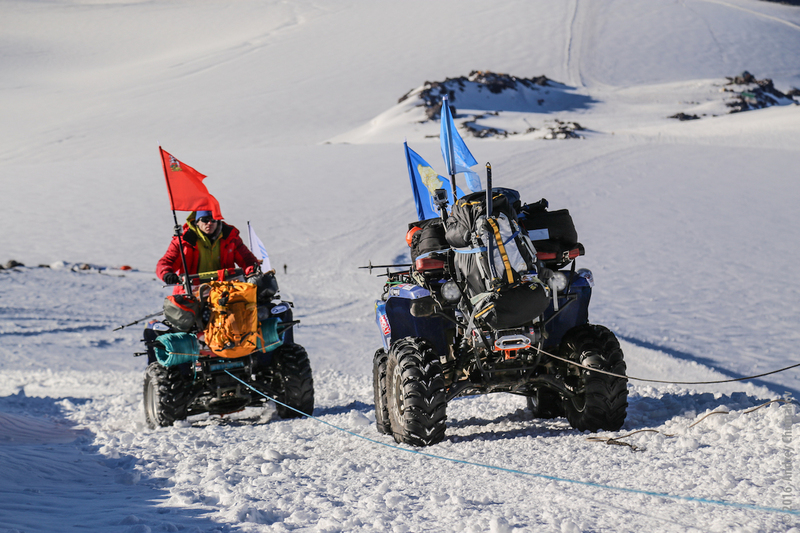 The temperature was about -20°C, but thanks, God, there was no wind – this precise circumstance helped us greatly. And when the sun rose, things became much better. During our acclimatization hikes some of the climbers from our group would always turn back on all sorts of reasons. I should say that the wisely selected outwear (like down-padded coats and different accessories) saved us from severe cold on those days. 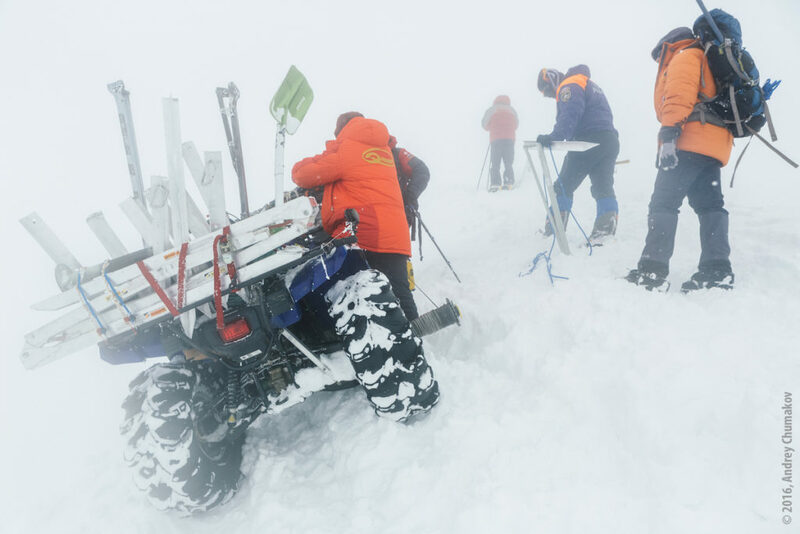 Especially I want to thank our guides (who rented them) for the coats that were tailored specially to make our Elbrus ascent comfortable and warm, and neutralized the effect of severe cold. I thought that no matter what, we should climb all together, irrespective of individual level of training and state of health. Thus, quicker climbers sometimes had to wait for the rest of the group. 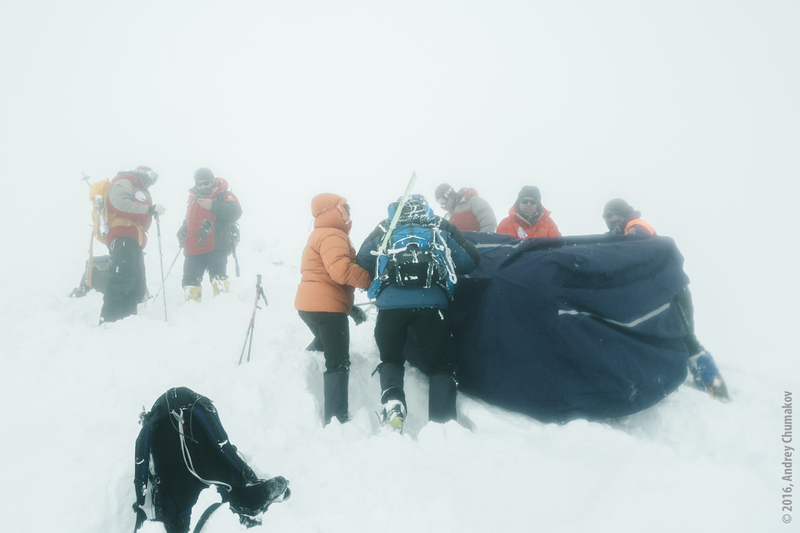 And only the absence of strong wind allowed us stay true to this condition throughout the entire route to Elbrus summit. I recall about 15 other climbers (besides our group) starting on the same day with us. But only our group was actually climbing by foot. 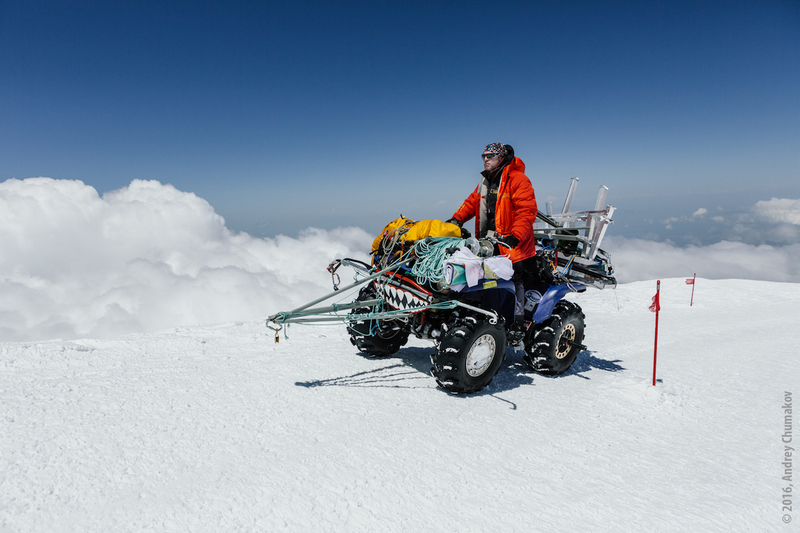 Other climbers would arrive on snowcats or snowcars. But even if others opted for that method of climbing, I was adamant and stuck to my beliefs that what is meant by “ascent” is climbing on foot and not using vehicles. That Elbrus ascent proved to be successful for entire our group but for one climber. She (it was a girl) failed because of her health condition. 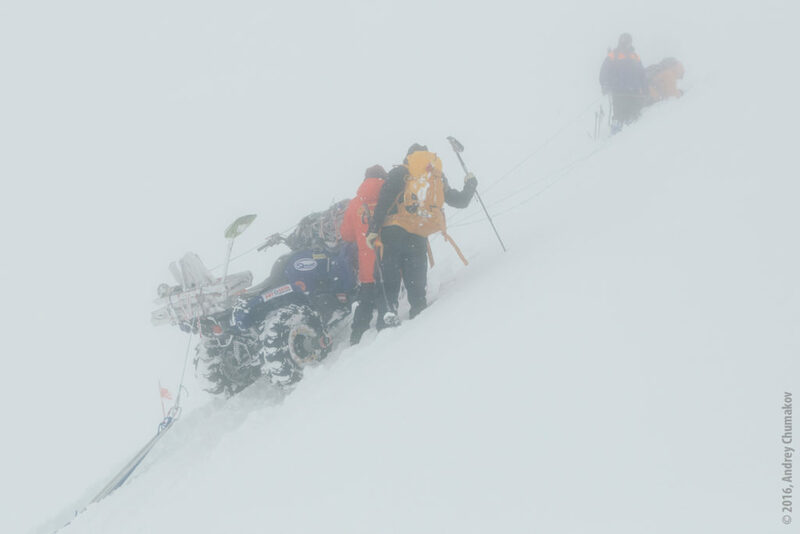 Most of us managed to cover 5,000 meters, and that girl also was among those brave ones. As it turned out, during summiting she was suffering from that sneaky altitude sickness. The curious fact is that during acclimatization climbs altitude was having no effect on her. She always felt great, with no hint of discomfort. And only during summiting the sickness got her. It began on the slope just above Pastuknov rocks. With her hands swollen, she thought that she was losing her motion coordination. Lucky for us, we had two guides, and one of them took her to the saddle of Pastuknov rocks. Such were the results of our Elbrus ascent. Then followed the planned descent to a desolate gorge and barbeque on a clearing full of Narzan springs. We spent that night on the road to town Nevinka (the passage of vehicles was barred during dark part of the day because of the weather). Then we headed back home. What was I thinking afterwards? What thoughts were swarming in my head? Of course, the greater part of them was recollections of that Elbrus climbing expedition and my new friends. Those are the things that I will keep in my mind forever. And everything I wrote above is of little significance and bears no comparison with what I went through. Elbrus has always been a very special mountain for me as well as those who had seen it even once. It is a symbol of greatness and beauty, and I think it will stay forever as such. I am sure the mountain will always help those really eager to summit it. My guide once told me that no matter what happens in my life in the future, Elbrus will always have its unique place in my life. I arrived, along with my wife, Sara, in Moscow in the afternoon of June 7th. We had flown from Katmandu, Nepal to Washington, DC, arriving at home on June 3rd, giving us three busy days at home to visit my daughter in Colorado Springs, do laundry, pack, and get back on a plane June 6th. With the 12 hour time difference from Katmandu to Washington, we had just begun to adjust to U.S. time, only to be thrown ahead 10 hours, almost back to “ Katmandu time.” A driver from the Russian climbing company Mountainguide picked us up at the international airport and we made the approximately one-hour drive into downtown Moscow and the Hotel Russia overlooking the Kremlin. The language barrier was apparent as we had our visas processed and registered. We made our way through the maze of this huge, dark, dreary, hotel, carrying our own bags (as bell men are apparently a modern western convenience), and searched for the floor attendant, who held the key to our room (as giving your room key at the front desk is also, apparently, a modern western convenience). While the rooms had been recently upgraded, they didn’t quite hit the mark, at least as western standards go. We had read that, even though Moscow is somewhat westernized, many things lag behind a bit, including water treatment, so we didn’t drink the water, using bottled water even to brush our teeth. Nothing different from Nepal and Tibet there! After a brief nap, we look a short walk around the city near the hotel, including a walk over to Red Square. One might have thought, looking at it from the outside, that it was a magical Turkish-style castle with all of the brightly colored towers and gold plated domes. I had never in my life imagined that I would be here; and, in fact, if I didn’t have my sights set on the Seven Summits, I probably never would have made the trip to Moscow. Or, would something else eventually have brought me here? We wondered at being a “farm boy from Kersey, Colorado ” and a “little girl from small-town Minnesota,” standing at Red Square ! Our evening meal was upscale hotel bar food for the “mere” price of 80 U.S. dollars. We were quite surprised at the price, and disappointed at the quality and quantity of food it purchased. As is common when first arriving in an unfamiliar country, we later learned where to eat more economically, including noting that the further away from the center of town (which is the Kremlin), the better (lower) the price. Eating at small cafeterias with walk-up counters, or even from street vendors, also proved to be an economical and enjoyable way to satisfy our appetites. As we made our way through the streets of Moscow it was hard to believe what we had been told for decades that the Russian people are (or certainly were! ), anti-American. It was hard to believe that we, Americans and Russians, were both afraid of each other not so long ago. It reminded me so much of personal relationships when people disagree and things get out of hand—usually due to poor communication or not understanding the other’s point of view. Ultimately, the result is a warring attitude, evolving into a viscous cycle of more misunderstanding and an ever escalating warring attitude, which takes on a life of its own. Double beds seem hard to find in Russia, so Sara and I had to make do pushing the two twin beds together, finally settling in for the night. Not more than a couple of weeks ago I was on the top of Mount Everest, and then home for only three nights. Now, I’m trying to make this strange environment (our hotel room), feel as much like home as I can. The mind is amazing, as it can create a sense of tranquility even in such a strange – and foreign – place as Moscow. We had a great breakfast buffet at the hotel, repacked our bags, and headed down to the hotel lobby to meet our expedition group. In addition to Sara and I, we would be climbing with five Irish and two Israeli climbers. It became apparent that this group would “gel” as they had such a fun loving attitude and didn’t take themselves too seriously. The Irish had climbed together on Kilimanjaro the previous summer and had met the Israeli’s during that climb. When they decided to give Elbrus “a go,” the Irish invited their new friends to join them. It always amazes me how much we all have in common—many of the same likes and dislikes (such as wanting to be cared about and respected, and not taken for granted), as well as many of the same fears (of not reaching the top, holding the group up, or just plain not measuring up). We think these same thoughts but, in my opinion, need to verbalize them more than we do. After all, we are all in this thing (called life) together. Talking about some of the many things we have in common could go a long way in making this journey much more pleasant. After storing a good portion of our gear and extra “tourist clothes” for after the Elbrus climb at the hotel, we loaded in the van and were whisked away to the regional airport, which was actually much nicer and more modern than the international airport where we arrived the day before. During check-in the airline charged us for excess domestic weight baggage, and we were off to board Siberian Airlines. That’s where the modern facilities ended! It was too much, as the plane looked to be straight out of the 60s with the orange décor, seats with metal meal trays, and completely open baggage storage. One could have easily imagined Austin Powers strolling in on brightly colored shag carpeting with his beetle hair cut and paisley bell bottoms. As we clutched our loosely attached armrests, we prayed the plane into the air. 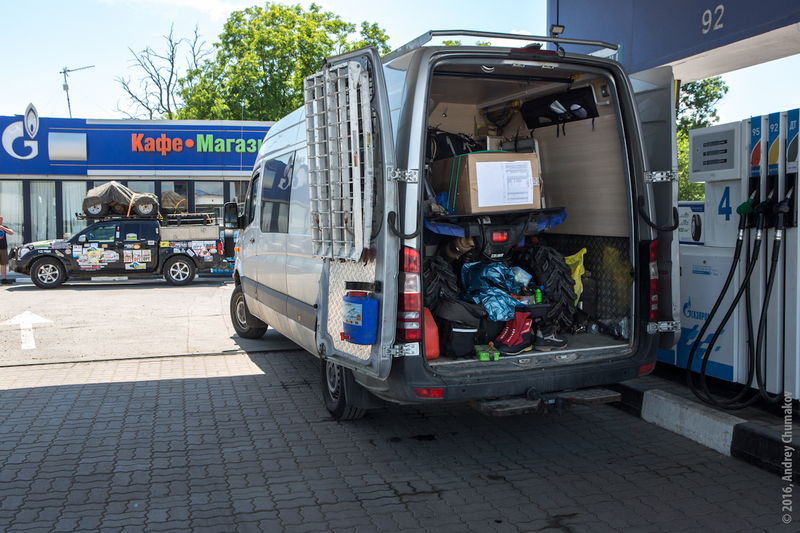 Our fears were put to rest as we touched down at the Mineral Vody airport where we were picked up by a rundown, truck-towed enclosed trailer that took us to the crude terminal. There we waited for our luggage to be unloaded, which was kept behind a locked door. We met Sergie, our guide for the trip to, and on, the mountain. He was young, fit, and spoke excellent English. He made us all feel welcome and addressed all of our concerns and questions at the airport and during the entire expedition. The van trip away from Mineral Vody, through lush farmland, which changed to hillsides dotted with small towns, finally turning up the Baksan River and into the Azau Valley took approximately 4 hours. As the road followed the river further up into the valley, grassy slopes dotted with wildflowers gave way to evergreens further up the slopes, which themselves gave way to snow capped mountains reaching well above the 14,000-foot mountains that we are accustom to in Colorado. The beautiful scenery of the Baskan River valley, and getting to know the members of a group a bit better, made the drive a pleasure. We arrived at Terskol, which is just down from the end of the Azau Valley, at about 7,000 feet. Only the Elbrus Ski Area lies beyond Terskol, marking the end of valley – and the end of the road. From there (yes it’s true) there is a gondola that goes up the lower slopes of Mount Elbrus. Although it was early June, skiers were still taking the two gondolas up the mountain. Some skiers were going even further up the mountain on a small chair left (when it was operating), and some traveled even further up the mountain by snow cat, allowing them to ski from as high as 15,000 feet using commercial lifts and rides. 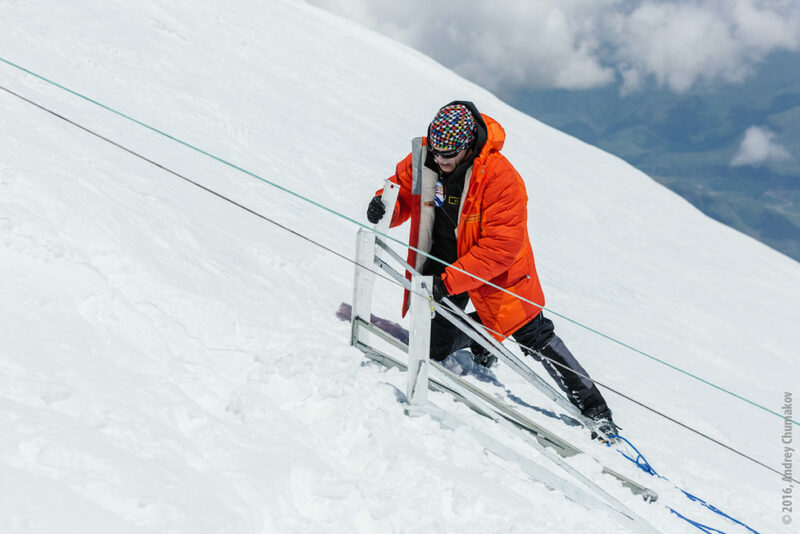 From there, some people hike even further up the mountain – even to the top – and ski down from the 18,481-foot summit of Elbrus. A “problem” with this easy access is that some people take the mountain, and the weather and other dangers that it presents, too lightly. When we arrived, the death toll on the mountain was already 16 for the season (the death toll on Everest for the spring season of 2012 was 6 on the north side, plus 1 on the south side, for a total of 7, much less than the 16 to-date on Elbrus). 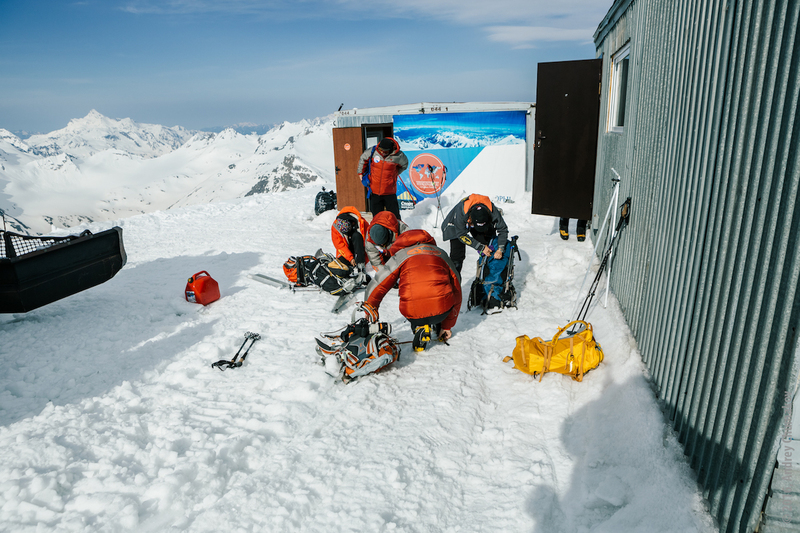 On Elbrus, many of the 16 deaths this season were snow boarders and skiers that came unprepared for the climate. 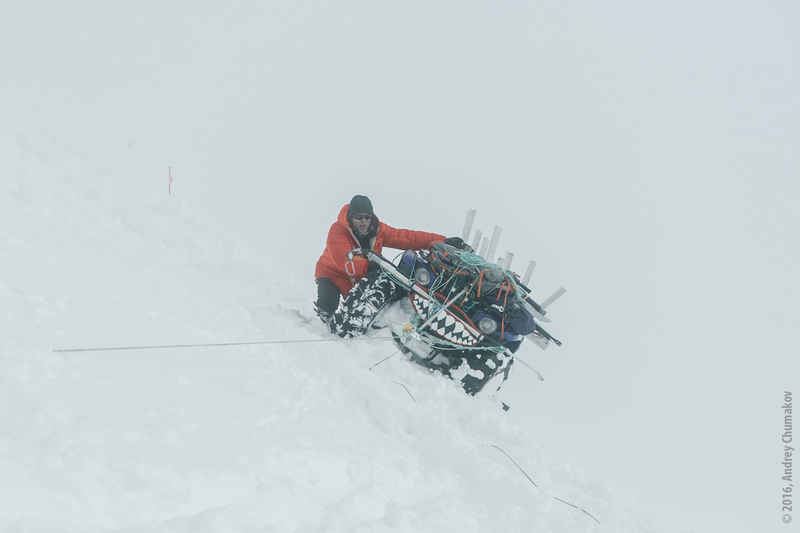 Others were climbers that also came under prepared, or got lost in storms on the mountain. After a quick meal, we walked back to the dormitory style room in the crisp cool night air. The smell of pine and fresh air reminded Sara and I of nights at our home in the mountains of Colorado . Having been away from home for such a long time while on Everest (and Sara, having been away for a trip to South Korea , as well as her trip to meet me at the end of my Everest expedition) made us long for the comforts of home. Aware of this, we once again pushed the twin beds in our room together and settled in for the night. After a reasonable nights sleep and breakfast we were ready for the first acclimation hike from Terskol, at 7000 feet, to the upper slopes of Mount Cheget at approximately 10,500 feet. We followed a trail up a grassy, wooded slope beneath a ski lift that makes its way to approximately 10,000 feet and the start of the remaining snow fields on Mount Cheget. On the way up the steep slope, Sergie seemed to be pushing the pace, apparently so he could determine the stronger climbers and determine what might be a comfortable pace for the group. Occasionally he would have us take our pulse, with the goal being to keep everyone under about 150 beats per minute. As we climbed on the slopes of Mount Cheget, Mount Elbrus came into view through the trees, on the opposite side of the valley. Mount Elbrus has two summits connected by a saddle; the first summit seen from this view is the east summit at 18,422 feet. The second, highest summit is the west summit which stands at 18,481 feet. Our goal, of course, will be to climb the west summit of Elbrus and reach the highest point on the European continent. As we reached the top of the ski lift clouds moved in, the temperature dropped, and it began to snow. 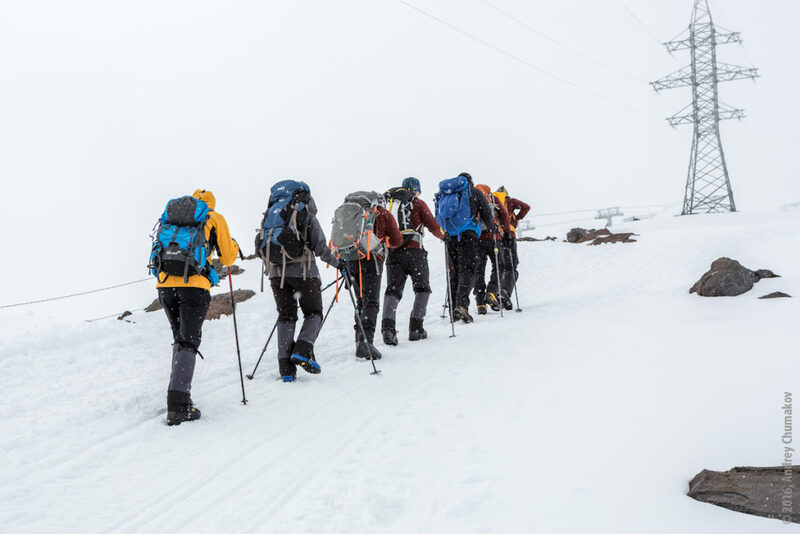 Everyone had expected a moderate day with warmer temperatures but, to the groups’ credit, between us all, we had enough appropriate clothing (including jackets, hats, and gloves) so we could continue higher up the snowfield. It was snowing harder now. Just short of our goal of about 10,500 feet, we turned around and started down the snowfield. Most of us post holed, skied (using our boots), and glissaded down the slope in a hurried fashion. It reminded me of when I was a kid and we would use just about anything to slide down a snow packed hill, sacrificing our bodies to the slopes. At the foot of the snowfield, and top of the lift, a dirt road meanders back down to Terskol. We took our time going down as the temperatures warmed and the snow subsided, giving way to a light rain. The wild flowers were beautiful and the views of the valley magnificent. While the climb was short, everyone seemed content with the day’s acclimation hike, and we all looked forward to climbing on the other side of the valley where Mount Elbrus loomed above. Upon reaching the bottom we all clamored into a pub where we ate a late lunch. It was nice to be moving again (since Everest)—and best of all climbing with Sara. The rest of the day we spent exploring the area, its stores and dwellings. The ski areas at Terskol and on Elbrus are in rural areas, and cows were free to roam along the roads. Everyone in these small villages seemed to know each other, and Sergei said that the area is dominated by certain families that have lived here for generations. It was quite quaint, and since I grew up on a dairy farm, many of the sights, sounds, and smells reminded me of those days gone by. Our backpacks full of the necessary items, we loaded the van for the short drive up to the end of the valley where the Azau Gondola waited to take us part way up the mountain – our first trip actually up the side of Mount Elbrus. Once again, it was like being thrown back into the 1960’s (or even earlier). As we tried to board the gondola, it became apparent that the Russian’s don’t quite handle lines the way Americans do. It was like a free-for-all and if you didn’t hold your ground and stand abreast of each other adults, as well as children, would cut ahead at will. After waiting and doing our own game of “running interference” we finally got on one gondola as a group. After an exchange to another gondola at “old viewpoint,” we continued up to Mir Station at 11,381 feet. From there we unloaded and hiked another 500 feet to Garabashi, known more commonly as “the Barrels.” This was a military training ground at one time and huge tanks, probably about 50 feet long and 8 feet in diameter, were cut to allow for windows and a door. They were insulated and lined on the inside, and then crude beds were constructed and line the walls. Each barrel accommodates nine climbers and has a somewhat effective electric heater and lighting. An old trailer next to the Barrels houses the kitchen and mess hall. We checked out our new “digs” – the place that, after tonight, would serve as our base camp for the remainder of our climb. The day was clear and we got a great view of the route that we would be taking up the mountain, to the saddle, and on to the west summit of Elbrus. After a short stay, we headed down to the gondola and enjoyed spectacular views looking below into the valley. Later on, after dinner, Sara and I were amazed as we looked above through the trees at the clear starlit night. Tomorrow we would be treated to climbing higher and coming closer to our goal. On the morning of June 11th we prepared all of our equipment for our stay at the Barrels and upcoming summit attempt on Mount Elbrus. It was a less than perfect day for climbing, but still acceptable. The sky was threatening and it looked as though it was already snowing up high on the mountain, where we were scheduled to do an acclimation hike. This lower part of the mountain is non-technical, so we didn’t give much thought to it, other than to take colder weather gear. After breakfast we again loaded in the van, and fought the people to get on the gondolas. Today the small chair lift between the final gondola at Mir Station and the Barrels was running. This “line” was even more chaotic than those getting on the gondolas, with young children being assisted by their parents to cut in line, and doing very well at it on their own. Despite our best efforts, we were unable to keep our group, and our equipment (large bags rode a chair by themselves) completely together, but eventually we got off the chair lift and lugged our stuff into our assigned barrels and settled in a bit. After a quick lunch, we departed from approximately 11,881 feet at the Barrels and began to slowly move up the mountain in line, as a group. As we progressed it had already started to snow, which was driven by 10 to 15 mile an hour winds. It was pleasant climbing as the temperature never seemed to get much below 0 degrees Fahrenheit, even with the wind chill. The snow began to accumulate and soon we were in about six inch deep snow. I couldn’t help but think of snowshoeing in the Colorado mountains and what a difference snowshoes would have made. We were climbing with only our plastic, insulated boots and without the aid of crampons, making it a bit ineffective to move along the gently rising grade. After about three hours of the mesmerizing step, plant pole, step, plant pole, through the all-white landscape, we reached a point just below the old Priut Hut at approximately 13,634 feet. The new Diesel Hut is being constructed here and is just a shell with the interior incomplete. The Priut Hut loomed about 100 feet above us – now just a foundation with burned and charred dimension lumber that looks like kindling that fell in fashion reminding me of “pick-up sticks” (a game we used to play when we were kids). Before burning a few years ago (an electrical fire, perhaps, judging by the electrical wiring in the Barrels and many other places in the country), this three-story structure was complete with a restaurant. 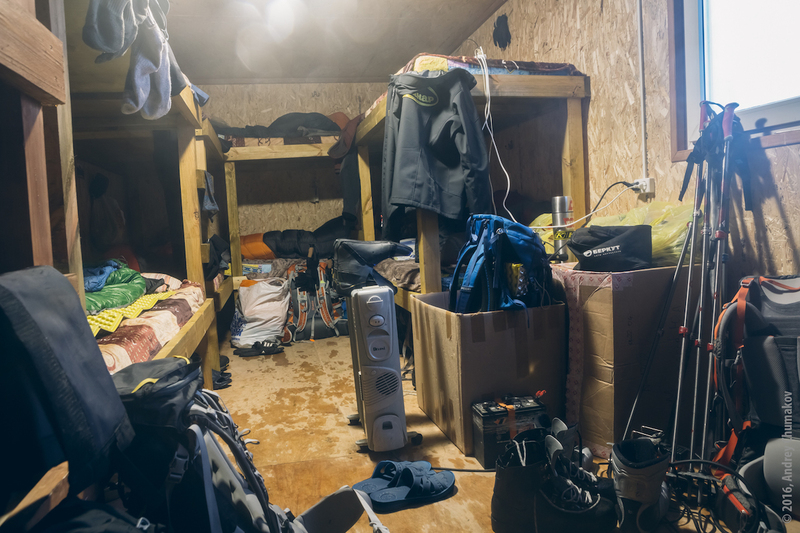 Apparently having such a large structure was deemed unnecessary, as the small, one-story Diesel Hut that will replace it is a much more conventional mountain hut, with sleeping quarters only. After grabbing a quick bit to eat, we quickly descended back to the meager (but more than adequate) comforts of the Barrels. Everyone seemed to be doing quite well; with no altitude difficulties and high sprits. The weather was persistent and the snow accumulation was about 8 to 10 inches, but posed no problem. If anything, it was quite peaceful and pleasant. 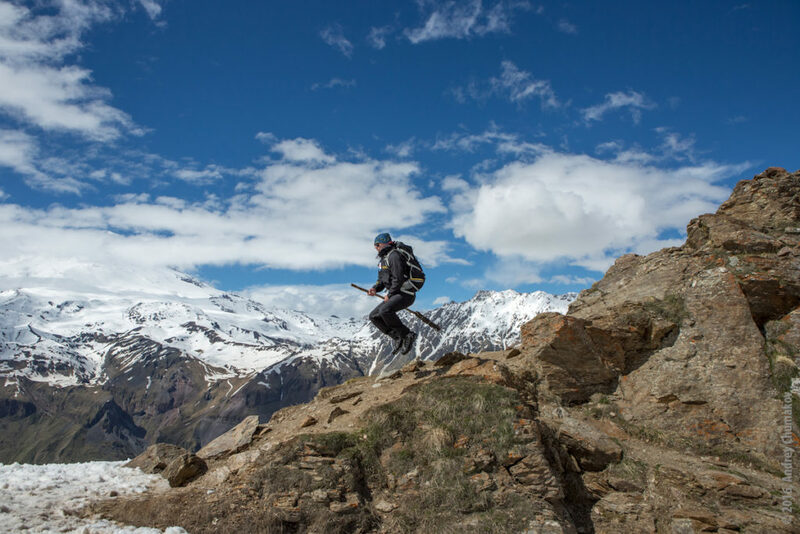 The only thing that was lacking was an anticipated view of the mountains in and around the Prielbrusie National Park, including the towering double-summit of Mount Elbrus. We spent the rest of the afternoon talking about the differences between cultures and attitudes as viewed by the Irish, Israelis, and Americans. The food at the evening meal was excellent (even better than at the mess hall below at Terskol), and we took advantage of accumulating calories that would be needed for the next two days of climbing. In other words, we “pigged out!” After stepping outside the barrel briefly to look at the INCREDIBLE starlit night, the switch for the lights was turned off, and the dreams of climbing higher flooded our heads. Blue skies greeted us on this last day of climbing higher for acclimation. This would be a long day (compared to the day before), as we would gain twice the elevation and cover twice the distance to obtain an altitude of 15,383 feet. After breakfast we gathered things together, put our crampons on, and started up the gentle but ever increasing slope that would lead us above the Diesel Hut to an outcropping of rocks, called Pastukhova Rocks, that rested about halfway up to the summit of Elbrus. They were in plain view, even from the Barrels, looking like distant specks peppering the mid-mountain slope. The rocks were clumped together and directly below them, on each side, additional rocks lined a football field width (and double the length) runway leading up to where they rested. We had climbed for close to six hours, and were anxious to reach our goal for the day. The grade had increased significantly as we reached the bottom scattering of the rock formation. It was a beautiful day and we had gained an altitude which put us above almost all of the surrounding mountains. We looked down upon the lush grassy slopes in the Azau Valley that gave way to the alpine trees eventually choked into submission by lack of oxygen that allowed only rocky slopes, and ultimately predominately snow- and glacier-covered peaks. Surprisingly, the snow covered Elbrus and the surrounding mountains as completely as the snow on the peaks surrounding Mount Everest. The views were similar to my mind’s eye – the Himalayas of Asia and the Caucuses of Europe. Dramatic. We had climbed above most of the clouds that puffed over the horizon. They were like gentle, heavenly beings pursing their lips to blow the gentle breezes that we felt this day. All was well and we started down toward the Diesel Hut and our final destination of the Barrels, thinking of nothing but a great day on a spectacular mountain. We were suddenly aware of an individual that was to the far left of us, sporadically and quickly descending – then suddenly stopping and sitting down – only to repeat the cycle. We had noticed, even at a distance, that he was alone and seemed disoriented and confused. Suddenly, Sergei, our lead guide, started chasing him down the side of the mountain, and we knew something was wrong. After Sergei caught him, Sergei came over to us, and told us that someone was up on the saddle with “a broken head.” We quickly made our way over to a small camp, just two tents, across from the Diesel Hut. The man we had been watching also reached the camp, and told us that his name was Mathias, from Sweden Two other young men (all appeared to be in their mid twenties) were also at the camp, and seemed unaware of what all the commotion was about. 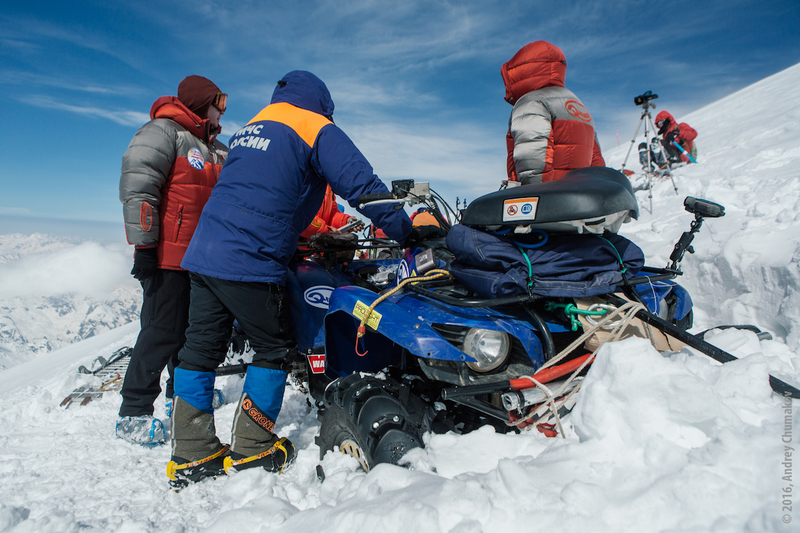 To his credit, Sergei and the other two assistant guides of our expedition immediately decided to assist in the rescue attempt. Despite not being dressed for a climb further up the mountain (in what would soon be the dark) and with limited acclimation himself (this was Sergei’s first climb of Elbrus for the season), he gathered as much water, food, and necessary equipment and clothing as he could from the small Swedish camp and members of our group, and headed back up the mountain to try and aid the victim. The remainder of our group tried to access the situation and determine what needed to be done. Decisions were made, and I ran down to the Barrels with hopes of contacting mountain rescue while everyone else, including Sara, stayed with Mathias. He was clearly disoriented, as he didn’t know what day it was, and he kept on taking his gloves off and dropping them, despite the wind and cold that were both increasing with the coming evening. Eugene, one of the Irish, realized that Mathias was in shock, and insisted that he come down to the Barrels with our group, where he could get fluids, hot food, and have warm place to sleep. They gathered Mathias’ pack and sleeping bag, and headed down the mountain to the Barrels. As I reached the Barrels, it was late afternoon and everyone had gone down below to the valley except for a couple of maintenance men and groundskeepers. 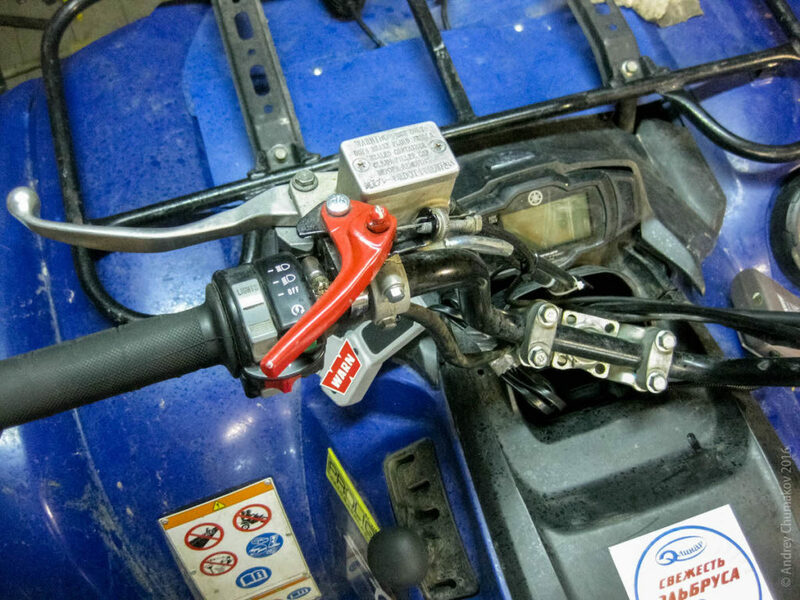 Knowing that a desperate situation was at hand, one of the groundskeepers got an old snowmobile running, but something was wrong mechanically, so he was unable to utilize it for rescue. Instead he headed down, apparently trying to catch someone at the Mir gondola station. I saw the snowmobile stall about a mile below the Barrels, before reaching the station. As I looked up, the rest of the expedition was coming over a rise about a quarter mile above. Sara walked down the mountain with Mathias, giving him some water, and keeping him talking. Slowly, she pieced together the rest of the story. Mathias had been climbing with three others on his Swedish team. They had all climbed the summit of Elbrus earlier in the day. Two from his group had quickly descended, and had reached camp earlier in the afternoon, leaving Mathias and his climbing companion to descend, at a slower pace, from the summit of Elbrus. 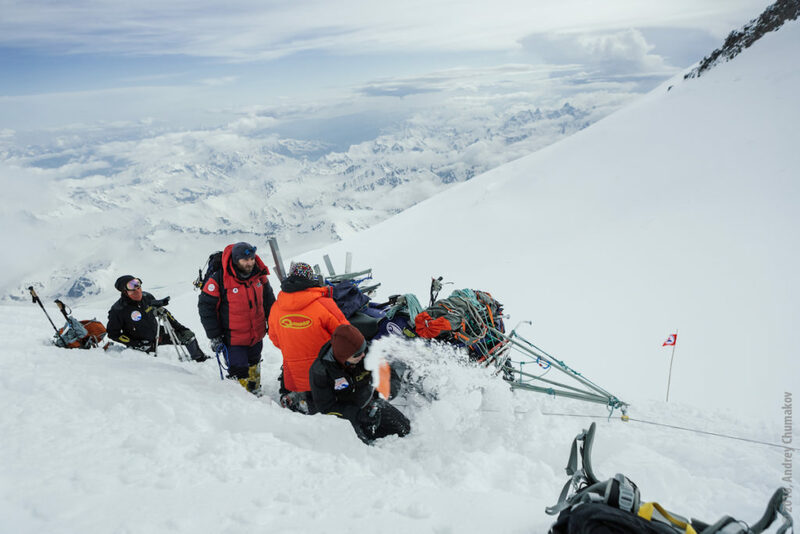 During Mathias and his companion’s descent, only 15 to 20 minutes from the top, Mathias described an icy spot on the route that retreated down to a 200 meter slope ending at a rock field. He had explained that they did not have ice axes and that his friend had possibly “caught a crampon” on his opposite boot, causing him to trip, and that he went first head over heals, then slid, the 200 meters down the slope, crashing into the rocks below, where he came to rest. Mathias said that he ran, as quickly as he could, trying not to fall down the slope himself, to where his companion lay. He said his friend had a “head injury” and possibly broken bones and internal injuries, pointing to around his own chest. 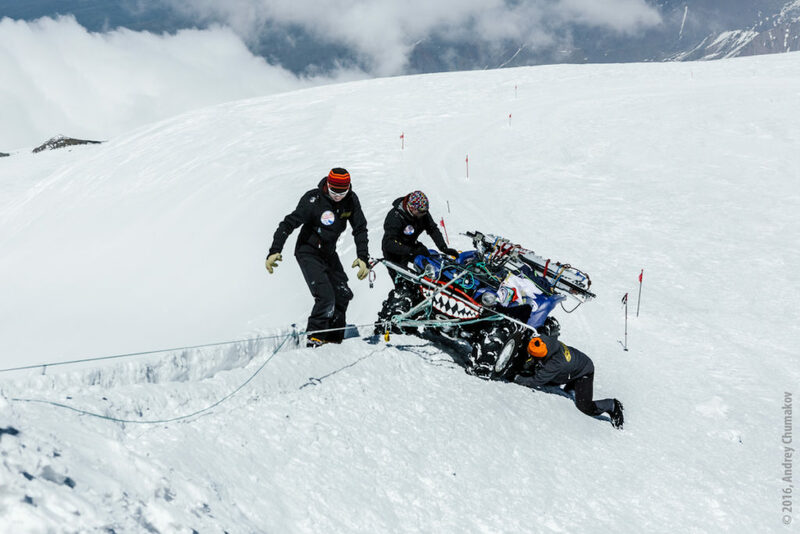 After reaching his friend, Mathias said that he descended the mountain as quickly as he could, traveling for (what at least seemed to him) about two hours before reaching a group on the mountain to tell them about the accident. Apparently this group was part of the Russian army, there to acclimate and train for mountain rescue. 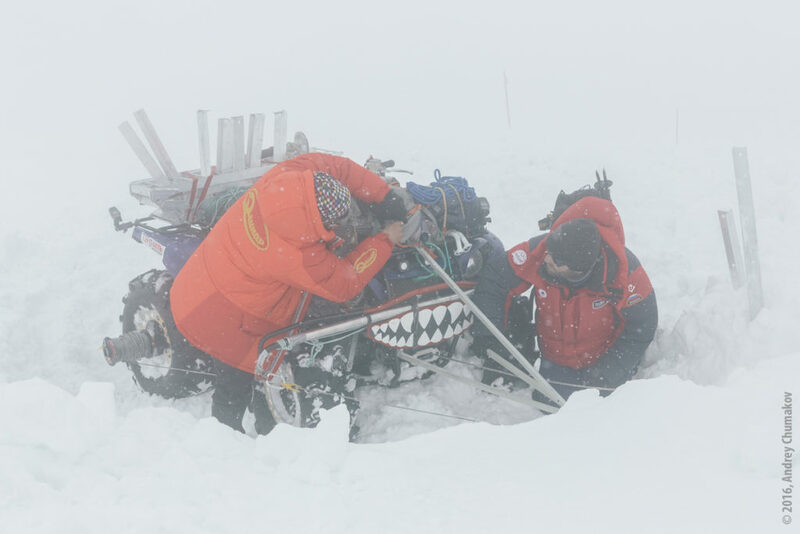 They had radioed to our guide, Sergei, to tell him of the situation, which had caused Sergei to start his own run down the mountainside to reach Mathias – who was desperate to reach his other friends to tell them of the accident. That’s where our group’s involvement started. 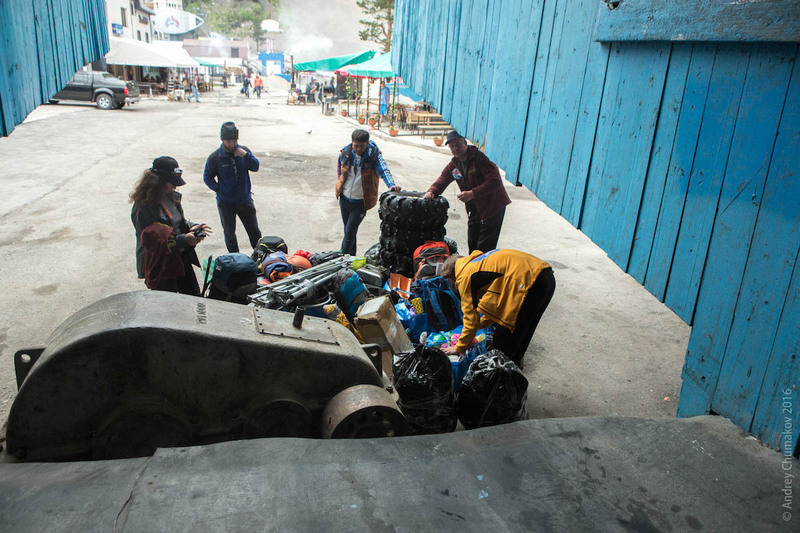 When everyone arrived back at the Barrels we found out via cell phone that mountain rescue had been notified (at the same time that Sergei had received the radio communication) and they were on their way up from the valley. Sara and the rest of the expedition tended to Mathias and when I arrived in the mess hall he had eaten some hot food and had drank lots of water and tea. He was “coming around” a bit more, explaining more of the story in small pieces as his mind was struggling to make sense of it all. About an hour later, the mountain rescue team, including guides and managers of Mountainguide.ru that we had met a few days earlier down in the valley, arrived via snow cat. Sara brought a female guide, who spoke some English, into the mess hall to talk to Mathias. Finally, when she asked if they were going up to try to rescue his friend, he said no. He was able to divulge that, after reaching his friend following his fall, that was not able to find a pulse and, putting his hand in front of his mouth, “no breath.” In addition, his friend’s skull was split and, again pointing to and around his own chest, he said he probably had multiple internal injuries as well. He, finally, was able to say that his friend was certainly dead. As we watched the rescue people pile on the snow cat late that evening, we knew that they could only hope to return with a body. The recovery would consist of the snow cat taking the rescuers to Pastukhova Rocks at 15,383 feet, and then the team would continue up, climbing to approximately 17,750 feet to where Mathias described his friend’s body had come to rest – high on the north side of the saddle. Meanwhile, Mathias’s mind was already turning to his friend’s family, and how could he possibly tell them what happened? Already questioning himself, and what he “could have” or “should have” done. Our hearts went out not only to the family of the young man that died, but to Mathias as well. Sara and I spent the night mostly sleepless, often listening to the breathing and tossing and turning of Mathias, who was staying in our barrel. About four in the morning, I heard the sound of the snow cat returning. No one in our barrel stirred or made a sound. The snow cat was outside running and what turned out to be the search and recovery team was getting ready to leave as we began to stir in the Barrels. One member of the recovery team came clamoring in and addressed Mathias, saying that it was time to go. Mathias gathered his things and we followed him out to the snow cat. 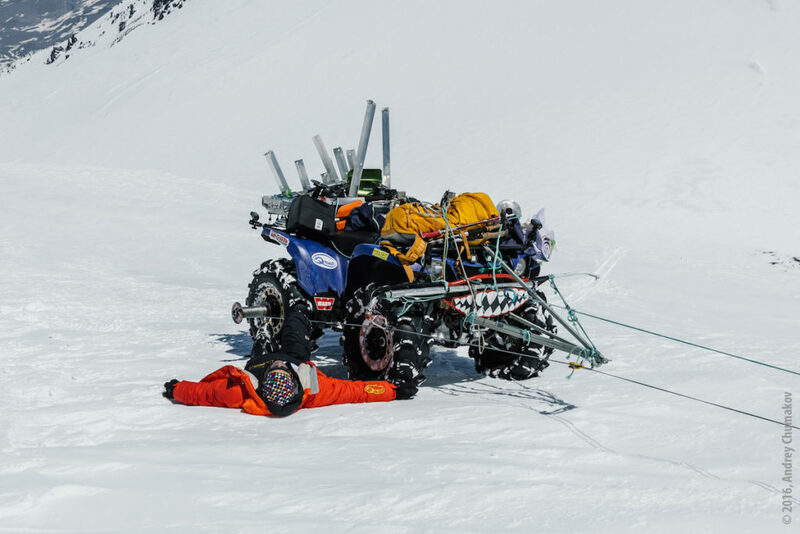 The mountain recovery team was already on board the flatbed that was mounted on the back of snow cat. They had wrapped the body in a green plastic tarp, tied around with rope, and it lay flat between the feet of the team members. Sara and I hugged Mathias, wishing him well, trying to reassure him that it was an accident, and certainly not his fault. Sara told him to take care of himself, and get all of the love and support that he could. 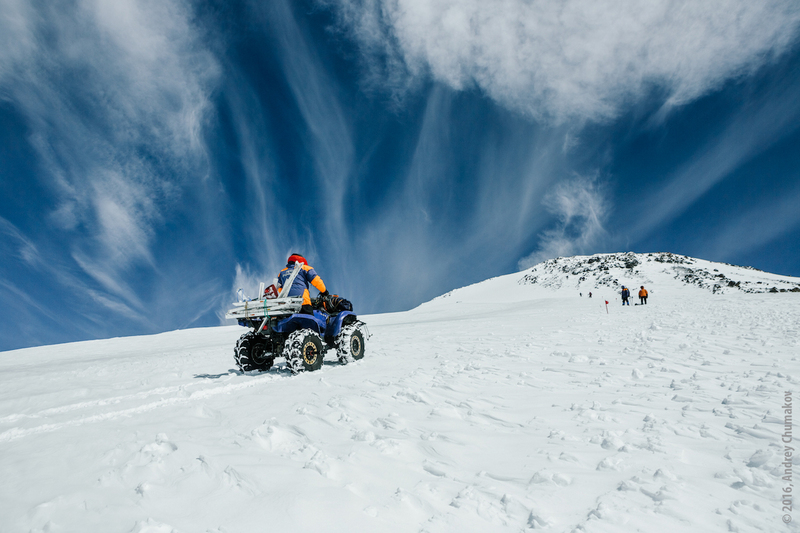 He clambered on board amongst the recovery team and we watched the snow cat slowly make its way down to the valley. Our hearts ached for Mathias, as we couldn’t imagine the pain he was feeling having to ride down with his deceased friend at his feet. At breakfast, everyone was somber. The rest of the day was spent discussing logistics for Elbrus summit day, which would be tomorrow, weather permitting. 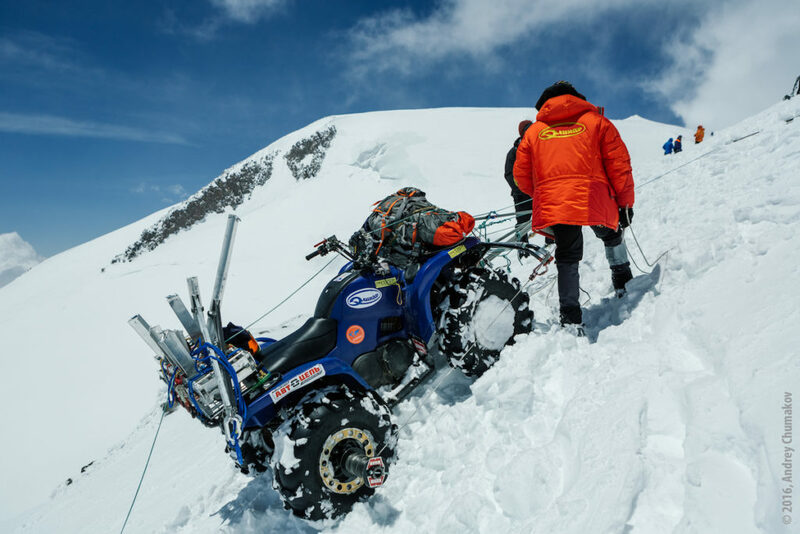 It is possible to hire a snow cat to take team members from the Barrels at approximately 11,881 feet up to Pastukhova Rocks at 15,383 feet (covering just over 3,500 feet of elevation gain – more than half of the total 6,600 gain – and about half the approximately 5 mile distance from the Barrels to the summit of Elbrus), and the rest of the team decided to take the snow cat. I felt that this was not an option for me, as the Barrels, in my mind, could be considered “base camp,” and I felt obligated to climb the entire distance from there in order for my climb to count toward my goal of completing the Seven Summits. That being said, I opted to start out at 2:30 a.m. the next morning, with one of the guides accompanying me—so it would be the two of us starting early. I felt that it would take the two of us about two-and-a-half hours to reach the rocks, so the remainder of the group, riding the snow cat, would leave around 4:00 a.m. meeting us at approximately 5:00 a.m. halfway up the mountain at Pastukhova Rocks. With this in mind we made further plans to travel together above the saddle (elevation 17,164 feet) and to travel “roped up” (or roped together utilizing safety harnesses and ice axes for travel). We felt a need to be very cautious after the accident that happened the day before at that spot above the saddle. Many of us then spent much of the remainder of the day preparing and sharpening our crampons, by filing them, so as to gain as much purchase as we could when climbing on the icy sections of the route. We were all still upset about the previous day’s events, Sara seemly most of all. We all understood the dangers of being up high on this mountain, or any mountain for that matter, and the potential consequences of climbing. We could only maximize our chances of staying safe by making sure that we all were equipped correctly and by making wise decisions. The day went by quickly and we all turned in early—with great anticipation of the Elbrus summit day tomorrow. Having slept restlessly the night leading to summit day, Sara and I woke early. She helped me get organized as I nervously fumbled for clothing and equipment in my usual fashion. She then kissed and hugged me goodbye, and I was off to the mess trailer for breakfast. The guide and I hurriedly ate, checked our harnesses and equipment, and headed up the mountain in the crisp, cold, starlit night. It was great climbing as we ascended steadily, breaking the dead silence of the night with the noise of our poles and crampons sinking into the snow, with our breathing seeming far away and mesmerizing at times. The time went by swiftly. When we were over half way to the rocks we looked back and saw the single far distant light of the snow cat. 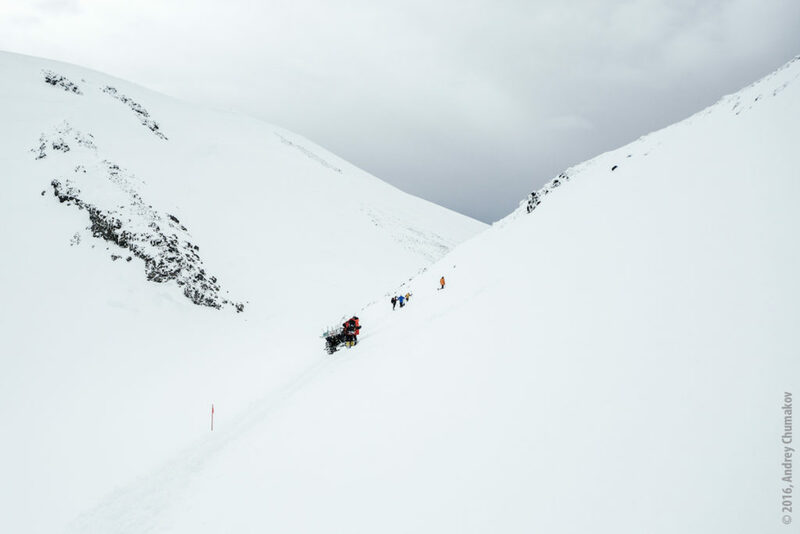 We picked the pace up, and by the time we had climbed up Pastukhova Rocks, the other members of the team were jumping off the snow cat just below the rocks. As we waited at the rocks I counted heads, and it appeared that everyone was accounted for. But wait. As they came closer I looked for Sara, as I would have recognized her clothing and stature. I was still searching the group when Eugene (one of the Irish) told me that he had some disappointing news: Sara had decided to stay behind. Given her past experience of being the only survivor of three that were trapped in the hull of a capsized boat, Sara understood more deeply than the rest of us the pain and suffering caused by the recent accident, and had lost the drive to climb. Reaching the top of this mountain seemed very unimportant to her, and she chose not to make the attempt. She had been one of the strongest of the group and after having summated Kilimanjaro with me the year before, she was more than capable of summiting Elbrus. Her empathy toward Mathias was strong, and her priorities have always been straight, so I understood perfectly why she would opt not to climb on that day. 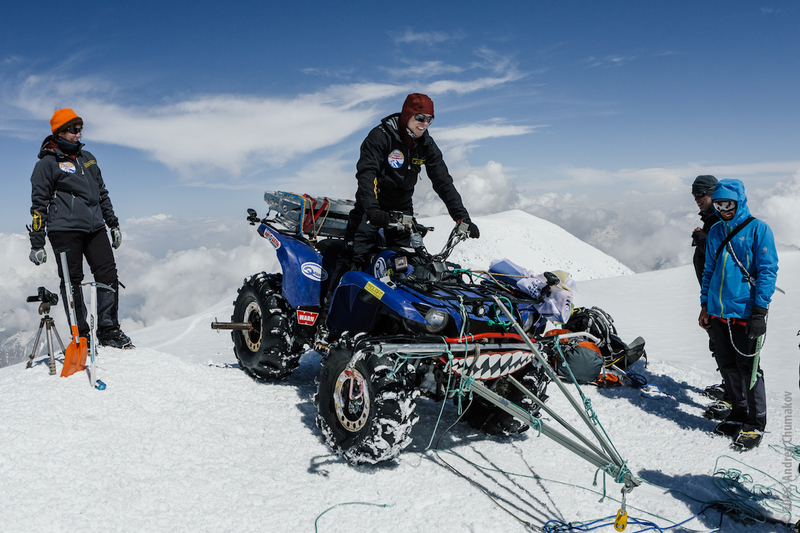 The extra person that had confused my head count was a photographer that had decided to ride along, climb, and photograph the expedition as it progressed up the mountain to the summit of Elbrus. We gathered and slowly started out climbing. As the sun came up over the horizon, it was extraordinary! We saw the shadow of Elbrus cast over the opposite horizon, imprinted on the dense atmosphere. It was extraordinary and lasted for a few minutes. Then, it was gone against the background of the fiery orange color cast on the far distance around us. We climbed higher and higher until we finally reached the saddle at 17,164 feet. 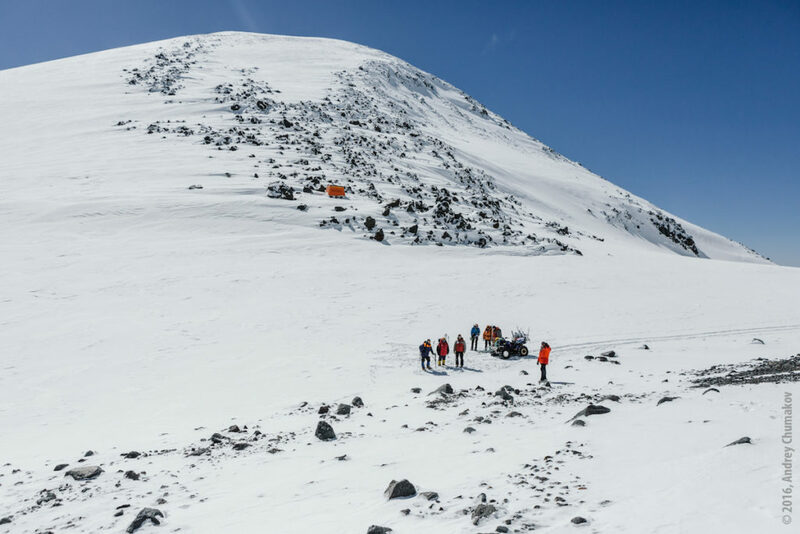 Everyone was feeling fine and we traversed around the east summit and walked over and up the saddle to the foot of the west summit of Elbrus. There, we roped up and could see the poles that were left to mark the spot of the accident and the rocks that ultimately caused the death of the Swedish climber two days ago. Thoughts of the accident were with all of us and we talked about it with respect and made sure that we were all roped together properly. 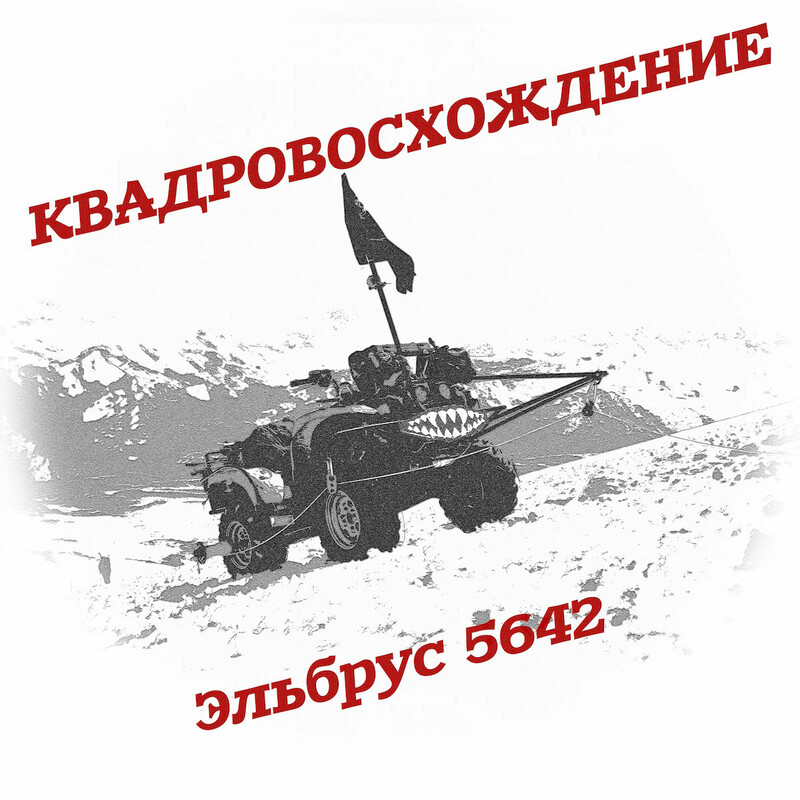 The group to Elbrus was lead by Russian guide Sergei Baranov. As we started up toward the summit of Elbrus, we were mostly quiet, other than reminding each other to be careful and to keep the slack out of the ropes. 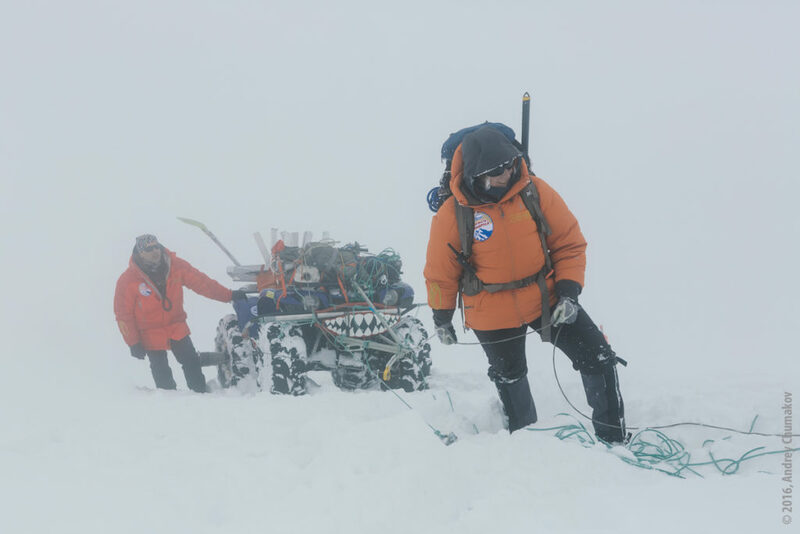 Three of the members of the expedition were starting to suffer effects of altitude; including headaches and vomiting that are somewhat common at high altitudes. We continued up the side of the hill and came to a flatter spot that would mark the final four or five hundred vertical feet to the West summit of Elbrus. Maybe a quarter mile, at best, separated us from the west summit of Elbrus. We unclipped from the ropes and continued on an individual basis. 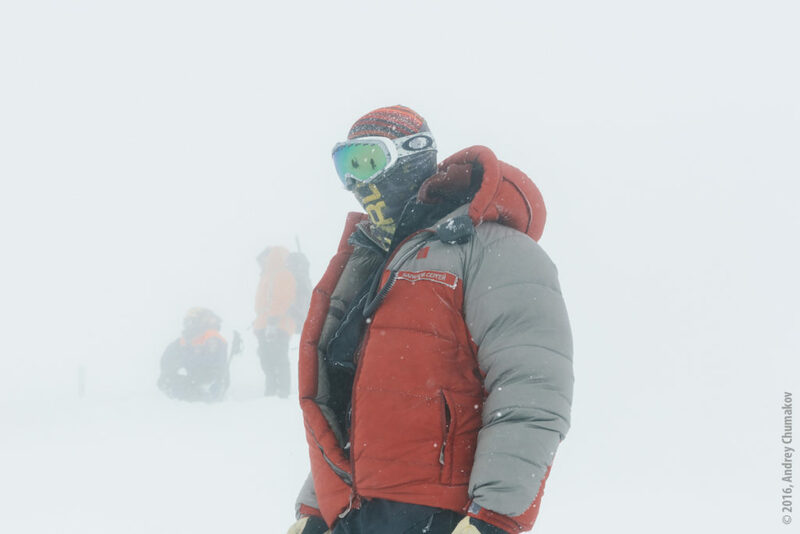 Having summited Everest just over two weeks ago, and thus having the advantage of having been at even higher altitudes recently and being well acclimated, I felt great, and quickly climbed to the summit. The others followed behind and reached the summit shortly thereafter. 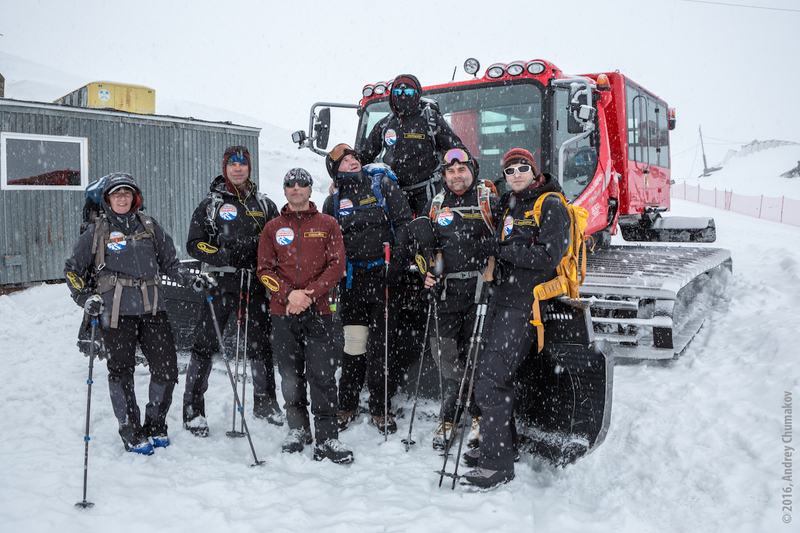 Despite some of the expedition members having been sick, they persevered and it was awesome to be on the top of the continent of Europe with a great group from around the world! The clouds were far below and the sky was a brilliant blue. We gave traditional hearty congratulations to each other and took lots of photos. Then, we headed down from the top of Europe . The trip down was uneventful. There was a great sense of accomplishment and peacefulness that accompanied me on the way down. This feeling allows a person to forget about being tired and all the aches and pains associated with climbing a mountain over the course of a week, and truly relish such a great moment in life. Late that afternoon we came over the same rise that I had watched Sara, Mathias, and the others descend two days earlier. There, standing with arms open wide, was Sara waiting outside of the Barrels. The only thing better than reaching the top of Elbrus on that fine day of June 14, 2012, was falling into those arms and gazing into her eyes. My trip to Elbrus. Part one. The night before our flight to Min Vody was pretty terrible. There were four of us heading for the Elbrus climb, Ted, a researcher from Philadelphia, George, Freddie and me. We had little if any sleep because of the summer heat, smog and noise Moscow was being tortured with. Anyway, we woke up early. The prospect of walking for 15 minutes in order to get to some food made me give up on the idea of having a breakfast. After landing safely in Min Vody we were met by Nikolay, our guide assistant, and set off for a four-hour trip to Azau. This picturesque place on Baskan Valley, at the foot of Elbrus, was where we were to have our lodge at about 2100 meters about sea level. Upon getting there we had dinner, met our guides and other assistants, walked around a little and went to bed at 9 pm. I got at 8:30 am. Hotel was on Elbrus slope itself. Great base camp. After having breakfast, at 9:30 am we set off from the lodge towards Terskol village with Nikolay. That spot was the point where we started our first acclimatization tour for the height of about 3000 meters. We took a chairlift to get there, and the goal of the day for us was ascent to Mt. Cheget summit around 3651 meters high. The thing that struck us the most at the chairlift was the magnificent view of Elbrus. It was so close and so enormous, one could only wonder how it was possible to see none of it from our lodge that was so close to it. And the reason we couldn’t see it, was the high walls of the valley. Even though chairlift is such a great convenience, one can’t help thinking of it as of an option for lazy people. However, as you get to the altitude of pretty modest 3000 meters even without any physical effort, your heart starts racing and you grow out of breath. Cheget gives an impression of a pile of loose rocks mixed with scree and rare patches of snow. We took a short break to get photographs and shoot some video only when had climbed to about 3300 meters. Standing there, we could fully enjoy the magnificent beauty of Elbrus’ twin peaks. One of our guides said that you really appreciate the mountain only when you see it for the first time from afar. At that moment you realize how incredible it looks. Standing at that altitude, we could clearly see the route to Elbrus summit leading from the cable car to the so-called Bowling Alley (or the Barrels). It was called so because of its two lines of rocks that climb up to the Pashstukova rocks and further up to the two summits. Near the Georgian border, to the south, there were two peaks – Donguzorun (4468m) and Nakaratau (4451m) with an incessant roar of avalanches rolling down every few minutes. Another breathtaking view is the Cheget-Karachira Glacier. Occasional rockfalls were heard to the west, where we could see two mountaineers climbing with their technical gear. To the east there was the republic of Chechnya, and to the north a copter was surveying the area in search for two Check climbers disappeared on Elbrus a couple of days before. As we learnt later, they strayed away from their group and got lost. One of them went down the north side of the mountain and stopped at a shepherd’s camp, and the other was found out in the open after 36 hours. After spending about an hour at the summit to enhance our acclimatization and take some photos, we started descent to the chairlifts and to Terskol, where we had lunch before getting a lift back to Azau. After a most delicious dinner we went to bed to have another restless night packed by repeated nightmares, accompanied by sounds of burping, snoring and farting. Given that it was the first climbing day for us, the hike proved to be a tough one, and even the ride on chairlift didn’t seem to be of much help. But day by day hikes to that altitude would grow easier and easier. Another night at Azau lodge. On that day Roman, another assistant guide, was to take us to the altitude of 4200 meters. The program of the day was to take a cablecar to 3470 meter altitude and therefrom climb further up to the Barrels (the so-called Garabashi Botchki Bivi). 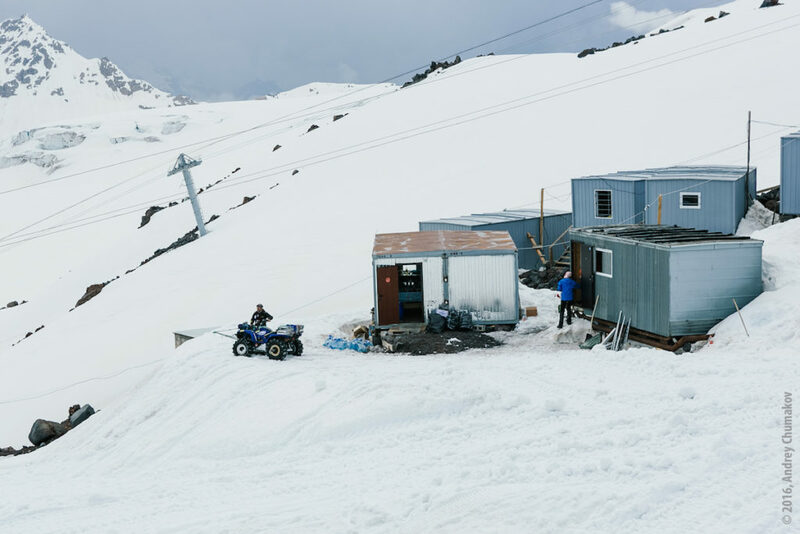 It is a traditional base camp for Elbrus climbers. Barrels deserve a bit more of our attention. These creations have the form of a long cylinder, equipped with electric light and electric heater (pretty dangerously wired) to get the occupants through lonely nights. Each of such shelters could house up to six people. But as we were told, that day we weren’t going to sleep in Barrels but would descent back to our previous lodge. The next destination of our climb on that day was an old refuge hut called Priut 11, located at an altitude ideal for summiting. It was constructed in the 1930s to provide shelter from variable mountain temperatures to up to 150 climbers. After Priut 11 was burned in 1998, there is another priut, a Diesel Hut. It is smaller, with the capacity to accommodate around 60 people. It used to be a sort of rubbish tip there, with intolerable stink, until climbers began taking their rubbish down with them. The climb to these huts is pretty straight forward, and the slope leading up to them is moderately steep. However, Roman said there is no hard ice before Pashtukova rock, so there was no need to bother with crampons. Passing two small crests, we got to a relatively flat spot but the path leading to the Diesel Hut again was steepening gradually, and upon reaching its final section it seemed even steeper since we were still poorly acclimatized. (A few days later it didn’t seem that tough any more.) The Diesel Hut stood where the Bowling Alley was beginning, on the left side of it if you look up on Elbrus summit. To pass this spot, climbers generally prefer the slightly less steep path that skirts the hut to the right of the Bowling Alley. Soon we became surprisingly hot since the weather was perfect. After a short while we were climbing with just a couple of baseline layers on. The path on Elbrus is pretty busy – with climbers coming back from the higher acclimatization tours or from summiting on the one hand, and tourists arriving on snowcat on the other. Being unacclimatized, tourists get out at the 4800 meters of the Pashtukova rocks, grasp for breath, stagger around for a while taking a few snapshots, and hurry back down on their snowcat. After reaching the altitude of 4350 meters and taking some photos, we headed back to the Barrels and after a quick rest – further down to Azau to enjoy our well-deserved lunch. We met a small group of Americans there, four of whom were back from summiting Elbrus. The two women in that group asked about Diamox, if we are using it. Some climbers can’t make it to the summit without this carbonic anhydrase inhibitor (normally used for treatment of acute mountain sickness), while others do perfectly well without it. However, the women were insisting we should take it anyway, meaning we wouldn’t make it up there without this drug. To me, it seemed an easy way and I decided to prove these girls (no matter how cute) that I can get by without it, even though I carried with me both Diamox and Dexamethasone in case I or somebody in my group gets ill with AMS. The top of Pashtukova Rocks is just a few hundred meters higher than the top of the Bowling Alley and just seems little lower than Elbrus summit. Our route was running past the now-familiar Pruitt 11, and again, we needed no crampons. On the fourth day we could actually feel how adjusted to the altitude our bodies had already become. On that day I had some extra exercise, too. I was shooting video of our team of four, and in order to do it I had to run back and forth the group several times. But since I was feeling quite comfortable with the altitude, I didn’t mind the exercise. Leading the way for our Elbrus group was Ted. Unlike me, he had some previous climbing experience; besides, he also seemed to be the strongest. He set into a good strong pace, and in order to see how I was getting on and also to push myself, I decided to keep near Ted that day. George and Freddie were moving with a steady but relatively slower rhythm. Ted was the first to reach the point we stopped at the day before. I followed him with a five-minute delay. There we had a light snack with some nuts and cookies. It sounds like not a big deal but in fact it wasn’t an easy task. We had to take off our gloves and do things quickly enough otherwise our hands would have frozen. Besides, putting the gloves back on was also quite a challenge. While passing the Bowling Alley the gradient started increasing, and the higher we went, the more labored our breathing was becoming. Again, Ted was the first to reach the top of the Alley and was waiting there for the rest of us. From that point Pashtukova rocks were already quite close, and from that point the route grew more exposed and we felt dreadfully cold as the wind picked up. So we had to put on some extra layers and Parkas on top of that. We were climbing Elbrus slope in zigzags to conserve our energy, walking with the wind at our backs and level into the wind. Every 10-15 steps we were stopping to recover our breath. The good thing was that the snow was pretty hard there, even with occasional icy patches, which made it a great deal easier to stand on without sinking into it every now and then. As we passed over the crest, our team (that was about an hour behind) slid out of our view. I was quite happy with my pace. As the icy patches grew more frequent we started regretting that hadn’t taken our crampons. Using rocks for grip while ascending, three hours after setting off from the barrels, we got to the top of Pashtukova rocks that was our destination of the day. We were advancing at an average pace of 300 meters an hour (of ascent) – a fairly good speed for an acclimatization climb. We had a rest, sitting around for about three quarters of an hour and watching a climber heading back from Elbrus summit. He was apparently totally spent, walking agonizingly slowly, like a zombie. After he passed us without uttering a single word, we decided to descend, too. We met George upon reaching the lower section of the Rocks. His plan was to get to the top of the rocks and have a rest there, like we did. Freddie was making even slower progress. We met him slightly above the Bowling Alley, and Roman, our guide who was bringing up the rear, shared with us his concern that if Freddie went at that pace, his summit day wouldn’t last less than 16 hours (and even more). Ted and I continued our descent to the barrels practically running. We were feeling pretty good and reached our destination in about 50 minutes. At dinner in the evening Freddie had no appetite and wasn’t looking good. He refused the soup, and we tried to convince him to drink at least some water not to get AMS. But he most probably was already developing the condition. At least he couldn’t take even a sip of water and went to bed early. Before going to bed a couple of hours later we noticed a curious phenomenon. On the right of the east summit there was a tall cloud reminding a top hap in its shape. Among all sorts of other clouds passing by the summit, this one wasn’t moving at all. Roman explained that it was a sign that the weather was going to worsen dramatically. When getting into bed, we were hoping we could manage to summit Elbrus before the arrival of bad weather. 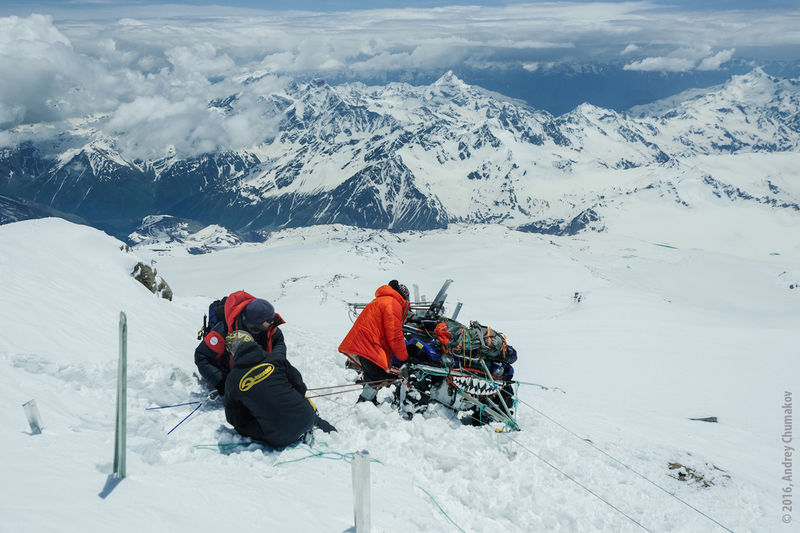 Continue reading the story – My trip to Elbrus, part 2. Finally, we managed to sort out some feedbacks from our Elbrus climbing clients of past two years. Here they are! Michael, Germany, 2013: I came across this Russian company, Mountainguide, when browsing the internet for options of Elbrus ascent with a mountain guide. And I’m so glad I found them. They provided excellent logistical support and made my Elbrus trip a great experience. Jason, Michigan, USA, 2014: This year I enjoyed a great Elbrus ascent with Mountainguide that came with an unexpected bonus – I met a girl in our group whom I am gonna merry in four months. So, guys, I think, you can add another function to your list of services except of Elbrus, that of match-making. Thank you for this great, memorable trip and experience! Thomas, Netherlands, 2014: Probably this is somewhat late to write a thank-you note… but I’m doing it, since my last year Elbrus ascent with your team of mountain guides was really awesome. It gave me lasting memories .Thanks a lot. Antje and Richard, UK, 2013: We were rather doubtful when considering the option of climbing Elbrus with a Russian company as our mountain guide. But finally we decided to give it a try, and we’re only glad that we did it last August. We are really impressed with the professional level and quality service of your Elbrus team. When we compare your services with the experience we previously had with British companies, you definitely win. 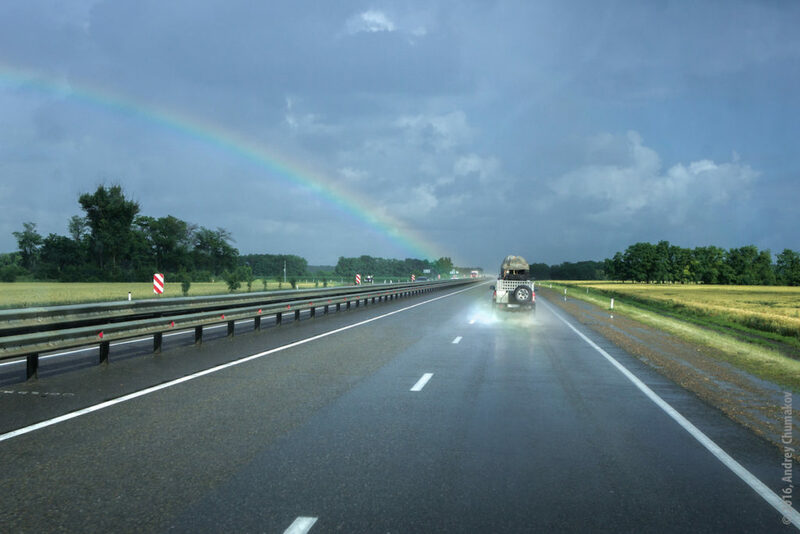 We appreciate your well-organized and efficient work, and the excellent value you provide for the money you charge, and without any hidden extra costs. George, USA, 2014: I am writing to thank you for my perfect two-week vacation I had this summer. 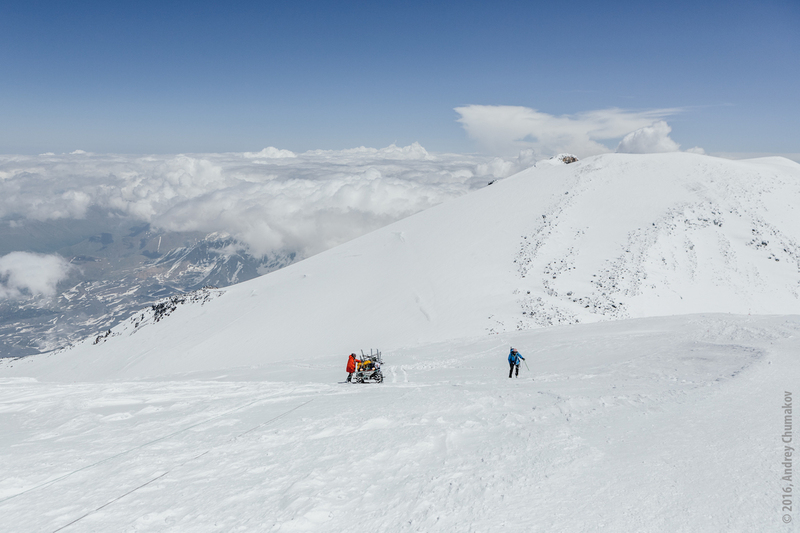 I couldn’t imagine that climbing Elbrus with a guide can be such a fun. Your team was awesome and arranged everything perfectly well (I suspect, even the weather). My triumph of summiting Elbrus is even bigger since I did it in the company of Mountainguide’s great team of guides and assistants. I wish all the best to my new Russian friends and everyone who contributed to the success of this trip. I want to mention specially the perfection with which all necessary arrangements for the trip were carried out, the places and people we visited in Russia. On the whole it was a pleasure to do business with your company and you, Sergey, personally. I want you to know that I will be glad to do you a favor in return. You can use my name for recommendation or for a reference for your clients from the US, and I’m also willing to provide whatever additional information they need before booking a trip. A few months ago I had a great chance of participating in a guided climbing expedition to Elbrus. I was and I am still impressed with the thorough, faultless organization of the trip, with all the members of your team – guides, assistants, drivers and everybody else who were supporting our endeavor. I spent great time in Moscow as well as when actually climbing Elbrus. Thanks a lot. Thank you for leading me into this great experience of climbing Elbrus. This was my first climbing expedition. I had no idea before how much there is to arrange to give us such once-in-a-lifetime experience. And you arranged everything in the best possible way. I want to thank you and the members of your team for my wonderful Elbrus ascent in September. Despite the unfavorable weather that nearly ruined all our plans, we managed to reach the summit! Thank you again and again for this success. And especially I’d like commend on the great job done by Alex, an outstanding guide (pity he couldn’t make to the summit with us) and Roman who patiently dealt with all our dissonant and endless demands, requests and inquiries regarding our trip and accommodation. I am grateful also to Sergey who met us at Mineralnye Vody airport and actually saved us from all sorts of shocks in the mountains and in cities. Thank you, guys! Overall I appreciate and admire the professional approach of Sergey and all his team members. They took care of every detail starting from the very moment of arrival in Moscow and all through the trip and our departure. 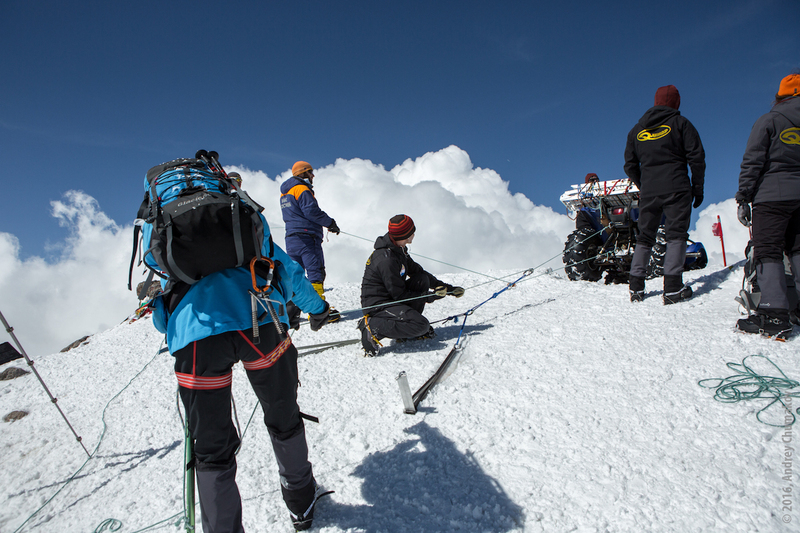 All details of the Elbrus program were thoroughly arranged and linked into a seamless action. Without hesitation I recommend your company to everyone interested in climbing Elbrus with mountain guide! Thanks and good luck! Thanks for the great, well-organized Elbrus tour and helping to discover and enjoy a new dimension of this beautiful world! Wonderful trip, lasting memories and great desire to experience it all again and again!! Thank you and your team for your great job! I recommend your company to everyone interested in Elbrus ascent with mountain guide. Ben, USA, 2014: I greatly enjoyed my Elbrus climb with you, guys. 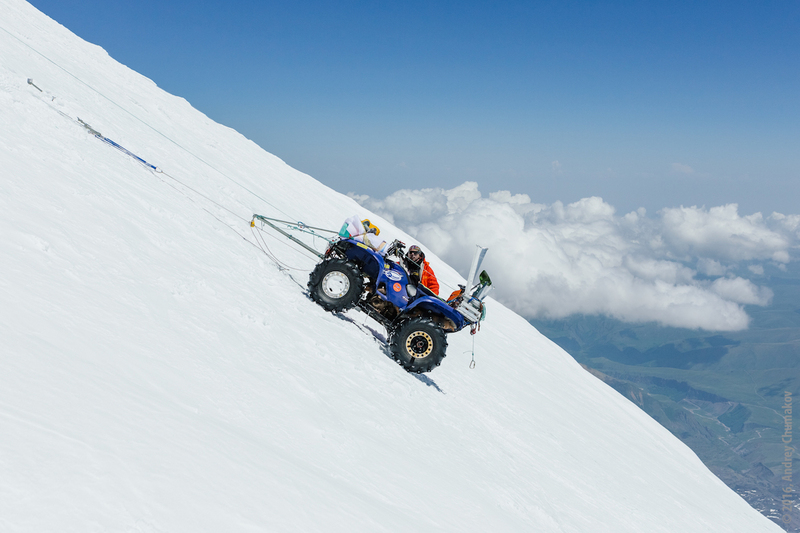 I definitely recommend your mountain guide services to anyone interested in climbing Elbrus. Besides, I’m planning to visit Russia again – this time with my family, and I plan to use your service. Philip, USA, 2013: Sergey, thank you and your group of guides and assistants who were always there in any kind of circumstance, ready to help. All the activities – before and after ascent, transfers and trips – everything was brilliantly arranged and organized. I would rate the service of your Mountainguide as world class – 10 out of 10. My special thanks to our mountain guides Nikolay and Alex. All the best to you, guys! Karl, Germany, 2013: I’m just back from a wonderful tour in the Caucasus. Thanks God and our mountain guides, everything went just right and I enjoyed every minute of this exciting experience of climbing Elbrus. We were lucky to have Sergey’s team of most friendly, considerate, patient and reliable professionals. Special thanks to Nikolay for his great job of dealing with our shifting wishes and requests. I’ll spread the word about your company. 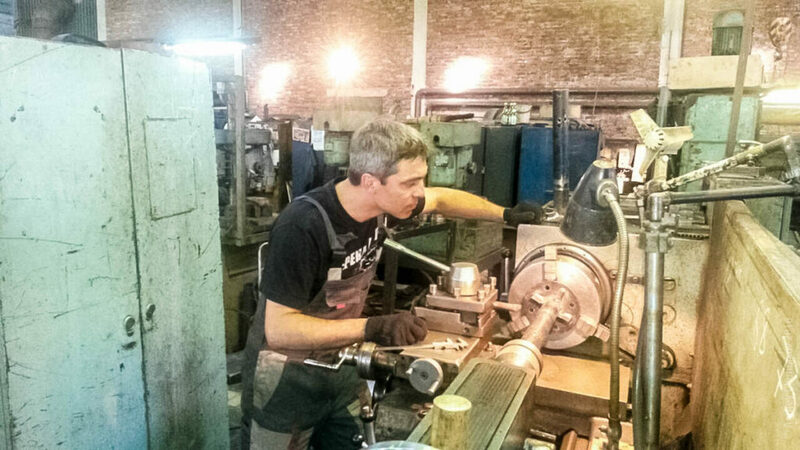 Francois, France, 2014: There were last minute changes in our plans and we had to fly back to France before the planned date, so we couldn’t manage to say proper good-by’s and thank everybody in your team for the great trip and all your services. We appreciate how much every one of you did for our superb Elbrus ascent. We would like to take part in another tour with Mountainguide team next year. So, please let us know when planning one. All the best!! David, Ireland, 2013: On behalf of our Irish team I thank you for the glorious Elbrus ascent with you, guys, as our mountain guides. We appreciate your work of arranging everything for our trip and all through our stay in Russia. Sergey as well as other guides and assistants provided excellent support both in the valley and during the ascent. Without them we would hardly have made it to the highest summit in Europe and definitely wouldn’t have made it back. I recommend this reliable team to everyone who considers climbing Elbrus with mountain guide! Carole, France 2014: This is to express just how grateful I am for the amazing time I had with you, guys. I was familiar with the excitement of climbing Elbrus (this isn’t my first ascent) but I enjoyed this one particularly due to the company of your team. Sergey, Vladimir, Sasha and all the others whose names I can’t remember, sorry – thank you all, for your expertise, competence and patience. Hope to meet you again! Lutz, Germany, 2014: Here, back in Germany, we are still under the impression of the fantastic week we spent in the Caucasus, climbing Elbrus. We headed for the summit from the height of 4240 m but had to wait on the saddle for the right weather for several hours. But finally on July 12 we made it! It was windy and cold up there but it gave us terrific feelings of joy and excitement!! Thanks a lot for arranging everything for our tour and actually making it happen. The information you provided by e-mail and the one I found on your forum was very helpful and we had no problem when entering the country or with police checks. All the best, guys!! Maria, USA, 2014: Thank you for the unforgettable experience of standing on the top of Europe!!! It was awesome! Every detail of our trip was arranged in such seamless way and nothing spoiled the perfect moment and the impressions of it. I never thought climbing Elbrus with mountain guides could be such fun. Besides, you took care of every detail – all the arrangements, transfers and trips within the country. The only thing left for me to do was to enjoy every minute of it. I am happy I chose your company as my mountain guides and hope to repeat this experience some day. Meanwhile I have my carved wooden souvenirs I bought in your country to remind me of this exciting Elbrus adventure. Kurt, Austria, 2013: Guys, you are awesome!! Everybody, if you are looking for a reliable team of mountain guides for Elbrus ascent, these guys are the best! 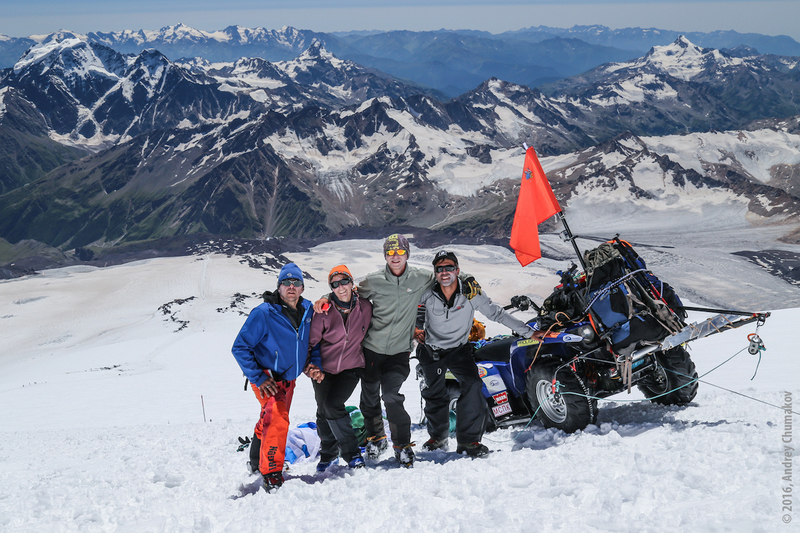 Lynn and Douglas, Ireland, 2014: We just want to thank you, Sergey, and your team for all your efforts to make our Elbrus ascent such a memorable event! It went so smooth and hassle-free for us, we were perfectly pampered with your attention to details, your care and reliable services. Martin, France, 2014: I’m using this opportunity to say how much I appreciate your efforts to organize an amazing Elbrus ascent this summer and making my visit to Russia such a great experience. Everything was thoroughly planned and implemented. And even the few scary moments and dreadful weather couldn’t ruin things for me. I knew from your website and forum how reliable and professional you guys are as mountain guides. And during my Elbrus trip I had a chance of seeing all those wonderful qualities at work. You were always there with every member of your group, supporting physically and spiritually. The connectedness you created within your group made the impressions of the trip even better. I want to mention also how much I enjoyed speaking with you, Sergey, about life, geography and culture of the Caucasus and modern Russia. Many thanks to you all! Fransisco, Italy, 2013: I want to thank the team of Mountainguide for a very well-organized Elbrus ascent expedition. I was a part of a multinational group, with people from Germany, Ireland, US and France. It was great to see how Sergey was keeping this vibrant multicultural atmosphere excited and pleased. He successfully handles whatever troubles may occur in the area, so you don’t have to worry about any organizational issue. If you consider Elbrus ascent with mountain guide, I definitely recommend this company. John and Mike, USA, 2014: Last year we had a chance of climbing Elbrus with the team of Mountainguide. We didn’t expect everything to be so good – the food, the lodge, the guides, and all the other arrangements of the trip. Many thanks to all of you! Nicole and Ralf, France, 2014: Sergey, we would like to thank you and your friends for arranging this wonderful Elbrus ascent tour and supporting us all through it. Everything was perfect and we will recommend the services of Mountainguide to people interested in quality mountain climbing tours. Wish you all the best! Philip, Scotland, 2014: I’m writing to thank you once again for the great expedition. When I was looking for a provider of Elbrus ascent with guide and came across Mountainguide, I was skeptical about the quality of services. Later I was very pleased to realize that I was very wrong. Everything was perfectly arranged and all the members of our group were really receiving attention and support on all the stages of our Elbrus trip, from arrival in Russia to home departure. Thanks for providing such great experience! The weather was fine and quiet, except of the summit part. We’ve been climbing there by ourselves while Vitaly was running, so were able to make some pictures of Elbrus Champion. “Commercial” or “Sport” Ascensions to Aconcagua Park 2014/15 climbing season. Foreign Mountain Guides work authorization for Aconcagua. Aconcagua Provincial Park Administration wishes to share the current legislation that comes into effect for ascent permits for the 2014/15 official season. The current legislation on Aconcagua comes into force due intense participatory process in which all members of Aconcagua Provincial Park have taken part, namely: companies, guides associations, guides professional training schools, business chambers, etc. The park administration will consider, due to security matters and state responsibility, ascent expeditions as such, only those which are guided; or exceptionally Port expeditions (prior authorization needed). A special register will be set up in order to allow foreign guides to work during official season accompanying ascent expeditions. According to previous agreement to be signed with EPGAMT (Mountain and trekking Guides Provincial School) will seek to validate those foreign certifications and qualification and/or incumbencies to officially work inside the Park as a professional guide responsible for commercial expeditions. A specific agreement to be signed with AAGM will allow us to accept UIAGM and UIMLA validations. Introducing these regulations is an attempt to increase the number of visitors to Aconcagua under higher security standards. What is a Commercial Expedition to Aconcagua? – It is an expedition in which visitors hire a professional guide responsible for the planning and itinerary of the entire expedition. Guides establish a commercial and lucrative relation between him/ her and the members of an expedition; in brief; the guide is practicing a remunerated work. What is a Sport Expedition to Aconcagua? – It is an expedition in which its members are professionals or assiduous mountaineering exercisers. These expeditions are not led by a guide. Therefore, there is not an economic interest among these members. Both expedition types (commercial and sport), make regular use of services provided by companies inside the park, such as, accommodation, mules, porters, communications, etc. However, what differentiates these expeditions from one another is the fact commercial expeditions hire a guide to conduct such expedition under remunerative conditions. Why during the 2014/15 season ascent expeditions on Aconcagua will be considered guided expeditions? – We do acknowledge that most people who try to reach Aconcagua’s Summit hire a “person” to help them do so. And even if we encourage athletes, amateur mountaineers and tourists to visit the park, we strongly believe that mountain guides are to ensure security conditions inside the park. In addition, mountain guides play a key role in measuring risks, passing on knowledge and values regarding the environmental preservation, and respecting cultural heritage and shared interests by the local community. What should I do if I want to work as a guide on Aconcagua being a foreigner? – To work Inside the park being a foreigner, It is necessary to have a qualification or certification which meets the terms and conditions of one of the official institutions In Argentina, namely (EPGAMT – AAGM – AGPM). Furthermore, it is compulsory to get a temporal authorization granted by Direccion Nacional de Migraciones (National Migration Office) through a “solicitor* that could be one of the official companies working in Aconcagua Provincial Park or AAGM (Mountain Guides Argentinean Association). Currently, due to a specific agreement, International Qualifications given by UIAGM (IVBV or IFMGA) are accepted. Finally, Aconcagua Provincial Park Administration authorization is needed to start working officially in the park. UIAGM includes associations, among others, from the following countries: Germany, Argentina, Austria, Bolivia, Canada, France, Great Britain, Italy, Japan, Nepal, Norway, Poland, Peru, Sweden, Switzerland, Slovenia, USA, etc. UIMLA is official In Andorra, Argentina, Belgium, France, Great Britain, Poland, Spain and Switzerland. What if I am a tour leader of expedition to Aconcagua or an experienced person without any qualification? – You will NOT be able to work inside the park as a guide, and you will have to hire an authorized guide following IRAM SECTUR 42.510 regulation. According to the EPGAMT-AAGM-AAGPM-DRNR agreement, a ‘fitting” register will be set up to allow guides to work as such only because of their merits regarding carrier and or working experience in the Park, following the remaining to conditions that should be accurately met. This agreement is meant to be a way to reward working loyalty to Aconcagua Provincial Park. Nevertheless, this list is compiled by park administration and closed since it is considered to be an “exclusive privilege. Therefore, and there is no way to apply for it. What if my credentials are not associated with the IVBV? – As in the previous case, you will not be able to work as a guide unless your crediting institution comes to an agreement with our national equal. (Idem question 5). What should I do to get an authorization for sport expeditions to Aconcagua? – Applications for sport expeditions should contain full name and address of the person responsible for the expedition and all the members of the expedition; tentative expedition schedule; medical certificate; Physical Aptitude Affidavit; security and contingency plan; enough VHF Radios and batteries, and Risk Acceptance Affidavit, in which you express your willingness to ascent Aconcagua under sport conditions accepting all the conditions imposed by Park Administration. What if a commercial expedition on Aconcagua is caught being led by a non-authorized guide? – This is considered an infraction and as such penalties will be imposed, depending on the case, ranging from written warnings, fines or immediate expulsion of the entire expedition from the park. Do commercial expeditions to Aconcagua have to comply with another requirement? – All commercial expeditions must hire an authorized Guide who should have non-contractual liability insurance favoring the Mendoza Government.